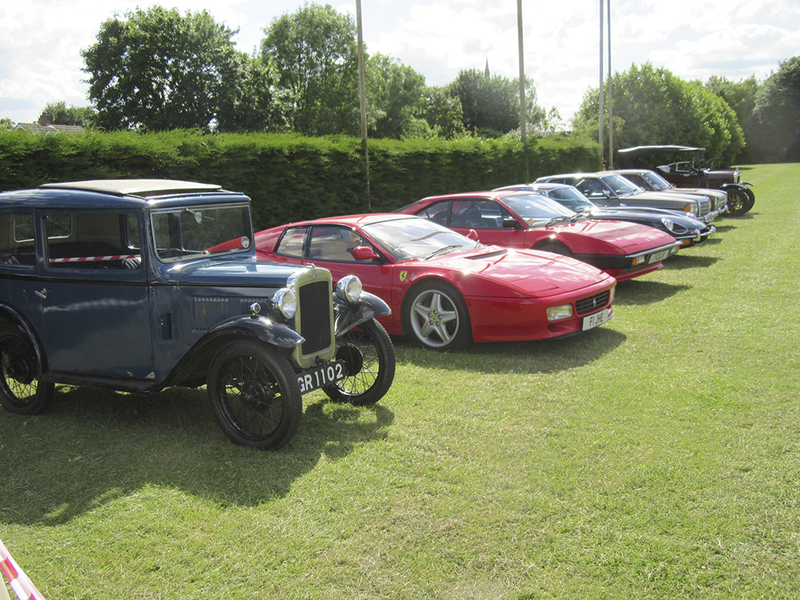 On Sunday June 18th 2017, the Greetham Gathering held a run-out. 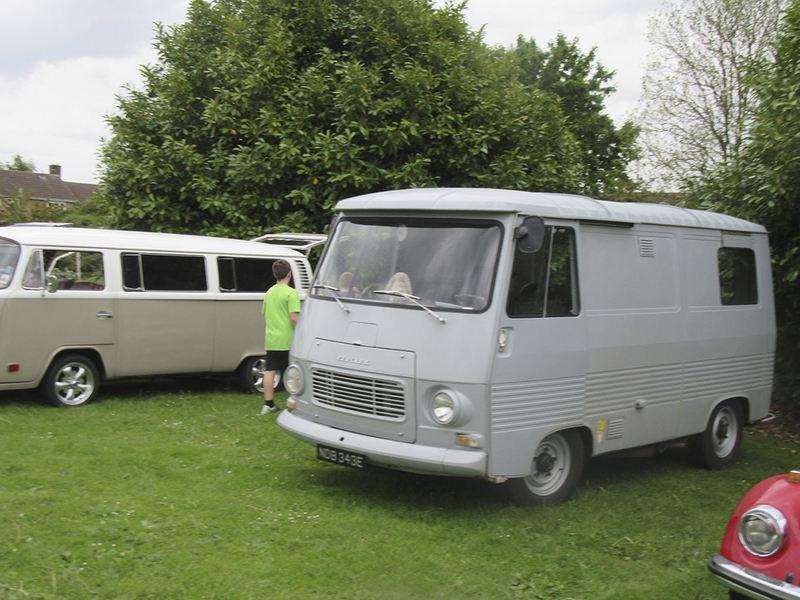 A number of Gathering regulars attended at the start point – Greetham Community Centre, where they were able to enjoy bacon sandwiches and coffee before setting off. 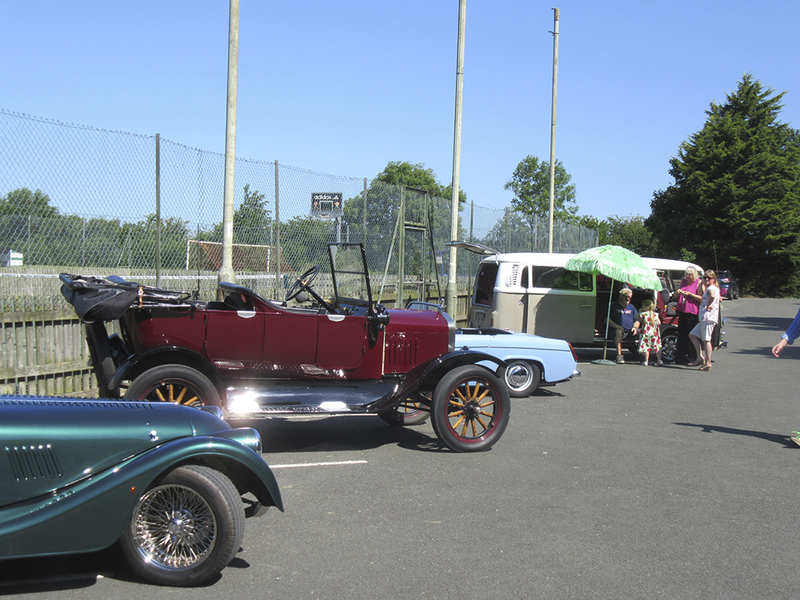 At 11:00am they went on their way; 20 cars of varying ages, and 2 classic motorcycles. 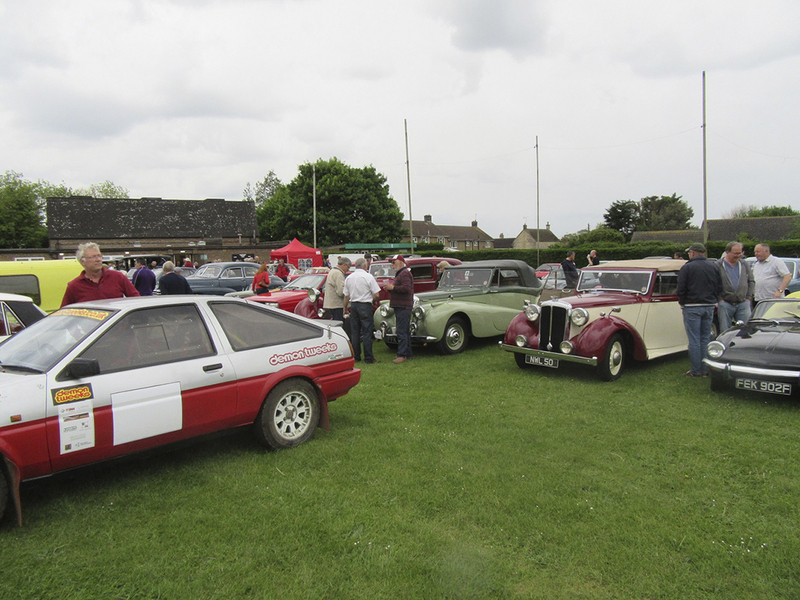 The route was planned to take them around some of the picturesque and interesting parts of the mighty county of Rutland. 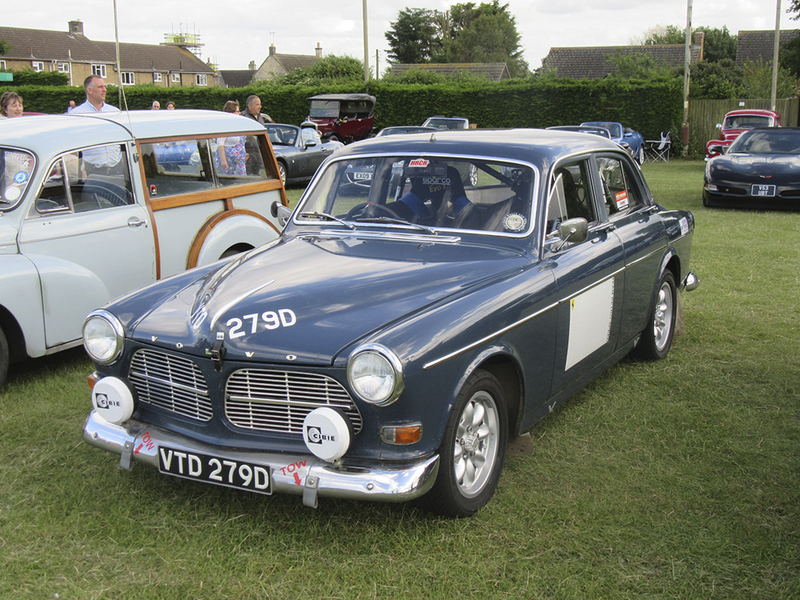 The route took them from Greetham to Exton, Empingham, Normanton (passing Rutland Water), Edith Weston, North & South Luffenham, and Barrowden (beautiful village green) where a rest was in order. 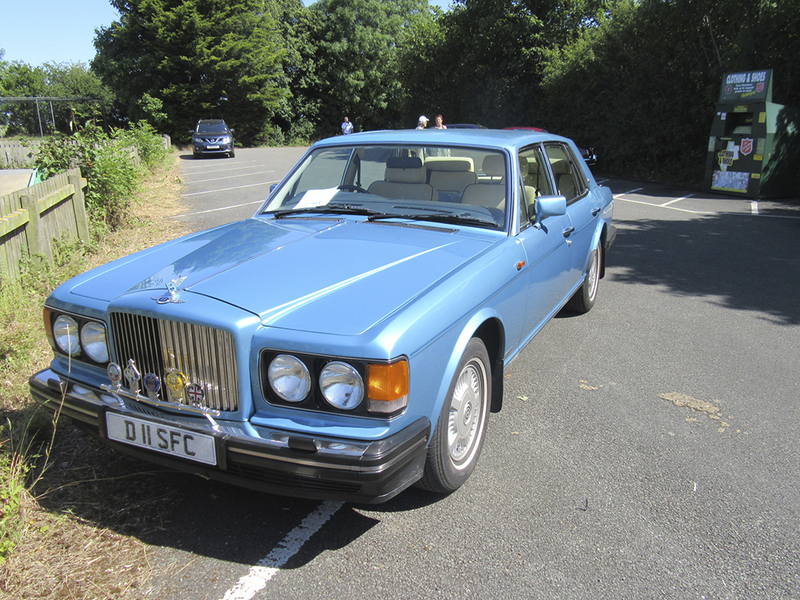 After a break (and some refreshment) the group went off again to Seaton, Harringworth (impressive railway viaduct across the valley) Gretton, Lyddington (where there was another rest), Bisbrooke, Preston, Brooke and Oakham. 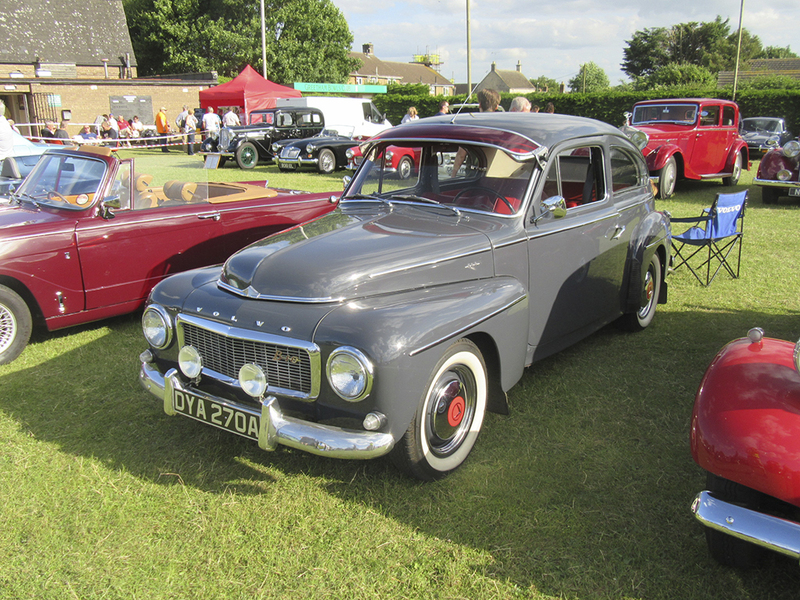 The journey ended at Oakham where the town council had a Father’s day event and the vehicles took part in a static display there. All agreed what a good day it had been and so its likely that something like this will be organised again. Our thanks go to all who participated and supported this fun event. The organisers of the Gatherings are starting to get a little bit worried. 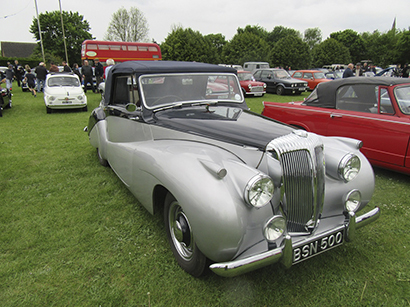 The way in which the Gatherings have grown in numbers is starting to become really noticeable by the sheer space we need to allocate on the field to the classic and vintage vehicles. 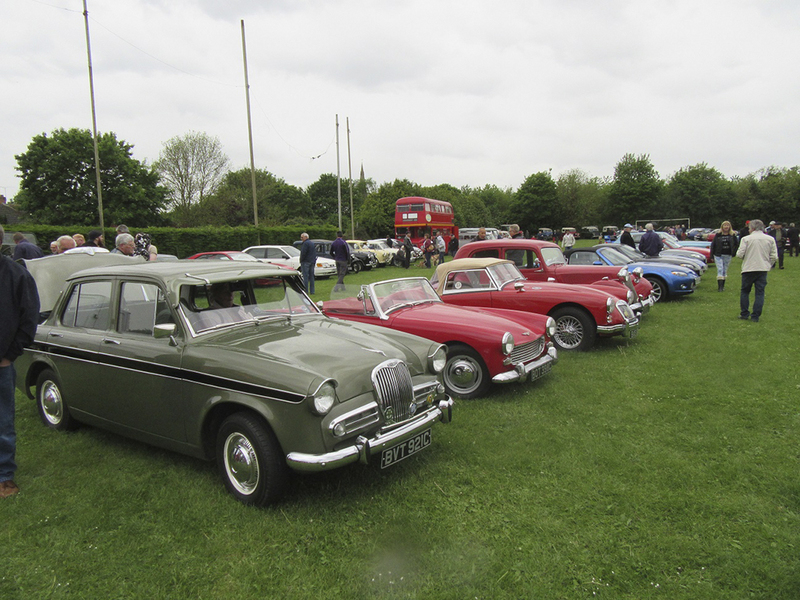 In June we managed to get more than 140 classic and vintage cars (and buses!) 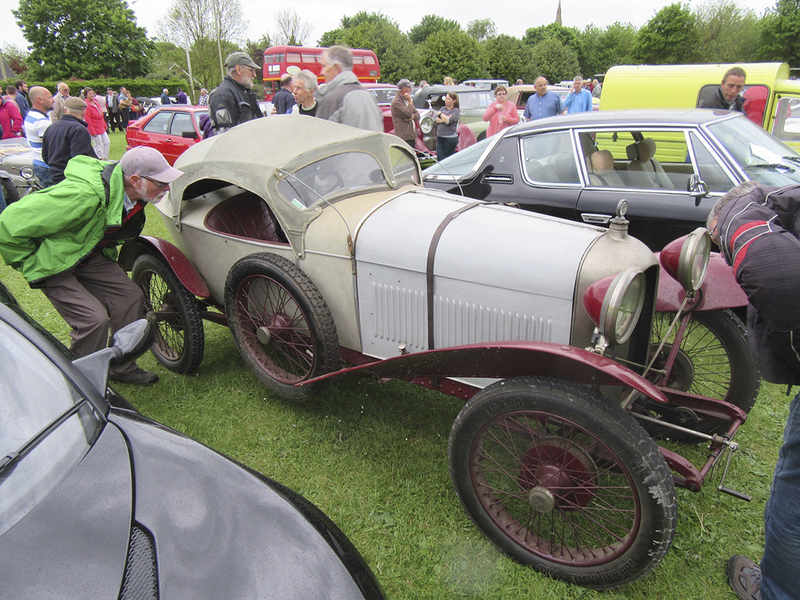 into the usual space, and this was in part thanks to the assistance provided by our new volunteers. 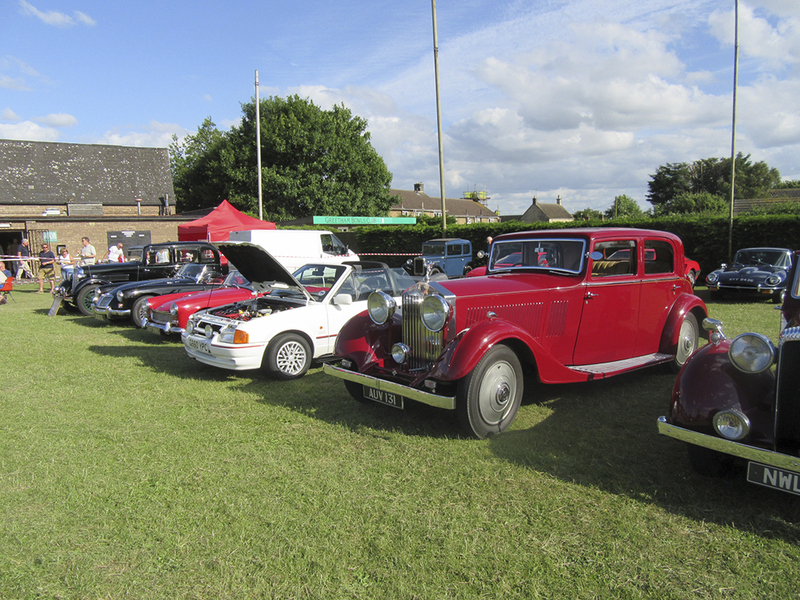 Next month we may well move the public parking a bit further up the field and we shall continue to carefully manage parking. 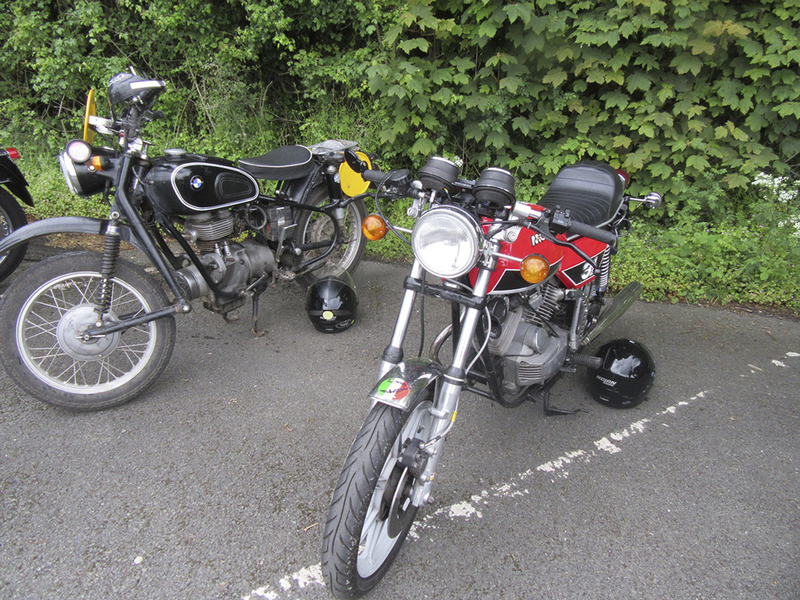 Similarly, but on a smaller scale, the motorcycle park was noticeably more crowded with over 80 bikes in total. Now let’s understand that we are not complaining! These are the challenges of success and we are truly grateful to all who support the Gatherings in whatever capacity. Without you and without our volunteers it could not happen. We must be getting some things right! 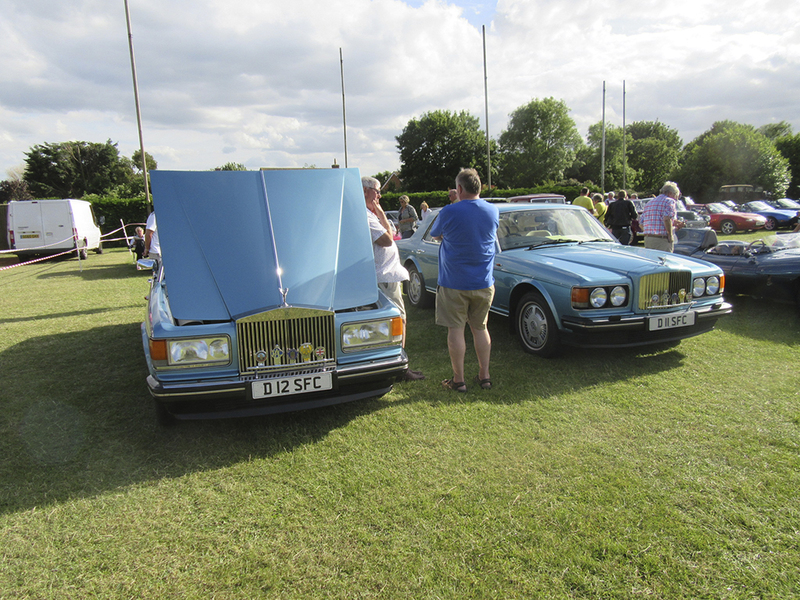 As mentioned above, we had a record number of cars attend. 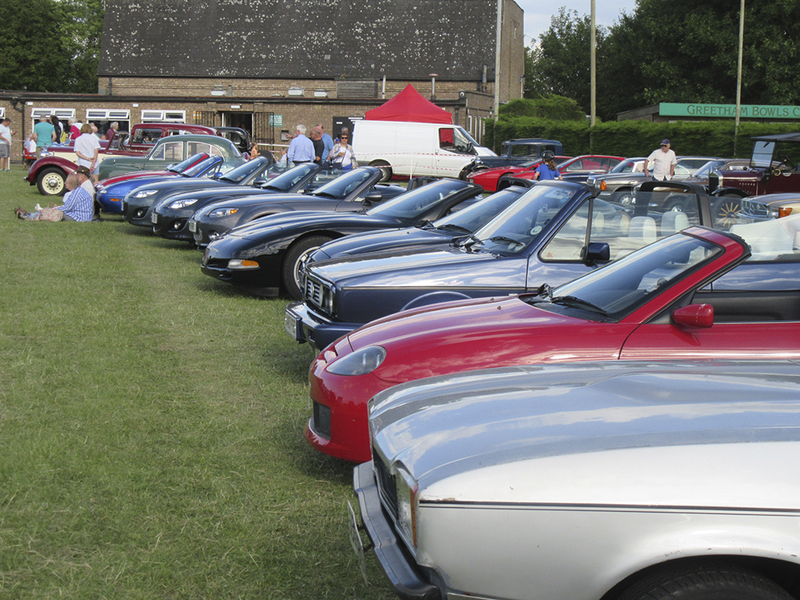 We counted a total of 278 through the gate of which over 140 were in the display park. This is our BEST YET attendance. 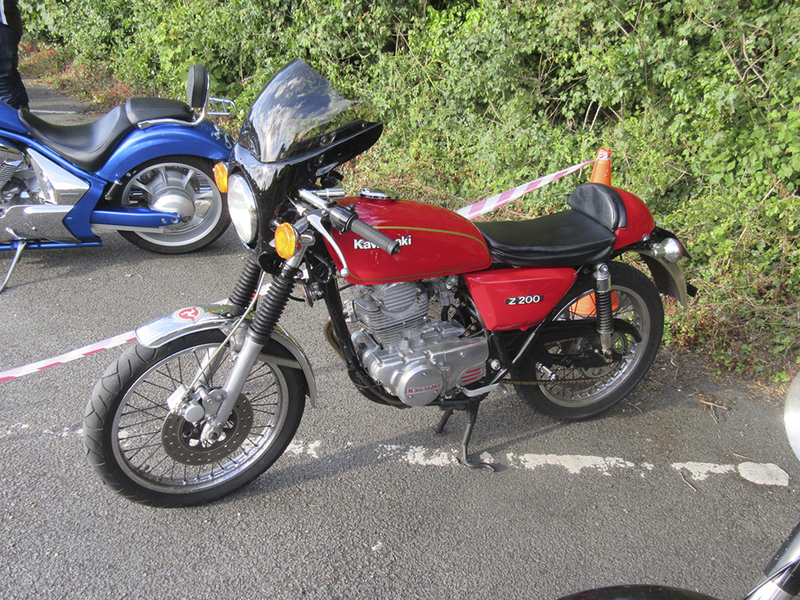 Similarly of the 82 bikes (also a record) we had 22 classics and vintage. 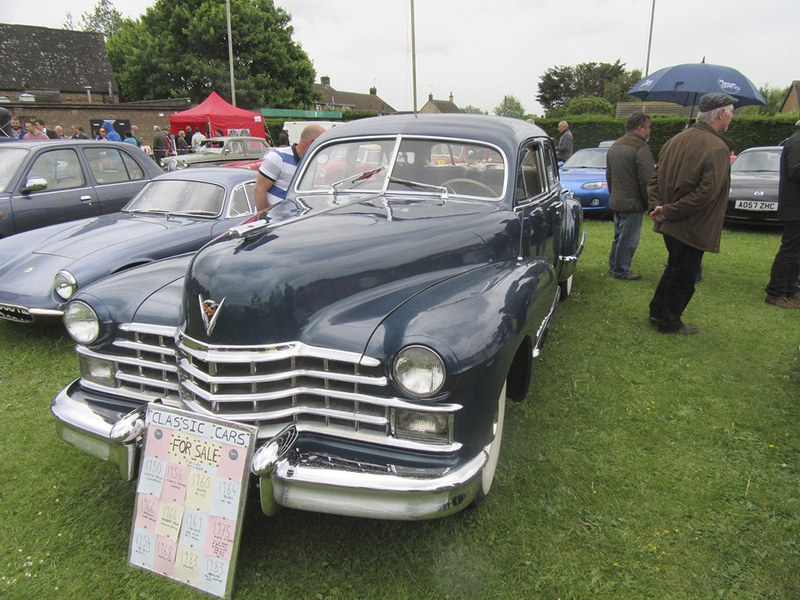 Please see the photos for a sample of some of the vehicles that attended. 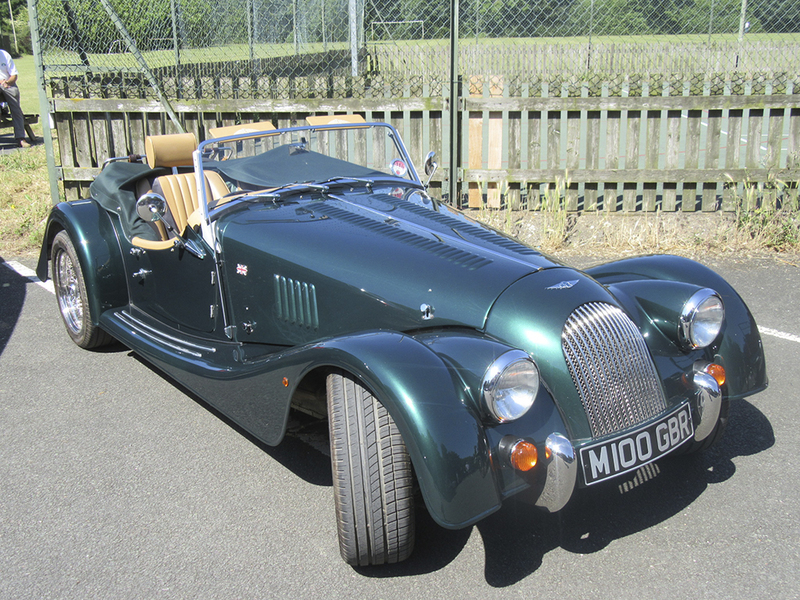 We can’t list every vehicle nor can we publish a picture of them all as web space is limited and costs money! However, we hope that seeing these will encourage you to come again and enjoy the great atmosphere. 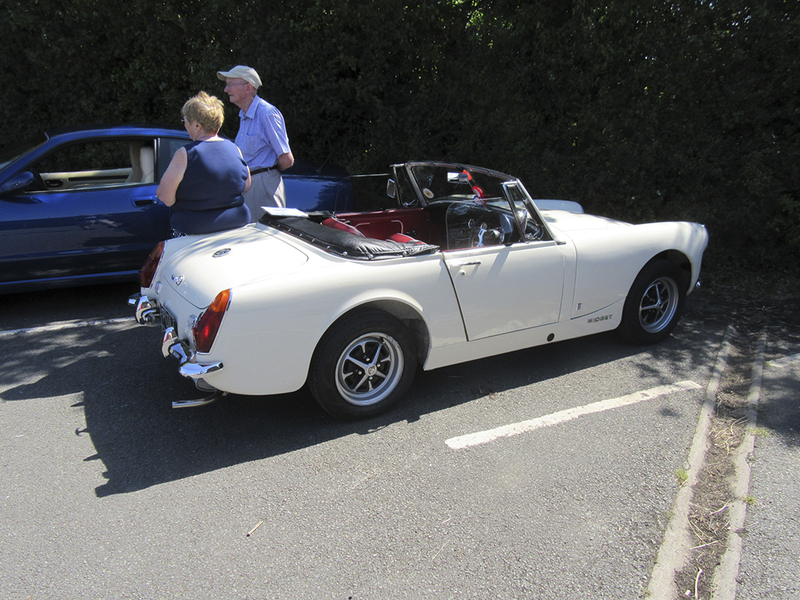 Thanks as always must go to all who attended, whether showing a vehicle or not. Also to Andy and crew for the fine food he always prepares; to Anne and team for the bar (which did a great job); to Maureen and Carol for the cakes and coffee, to Lorine for running the raffle, to Debbie, Sue and Pippa on the gate, to Brian, Steve P and Steve C for helping marshalling and to all the supporters who lend a hand as and when. 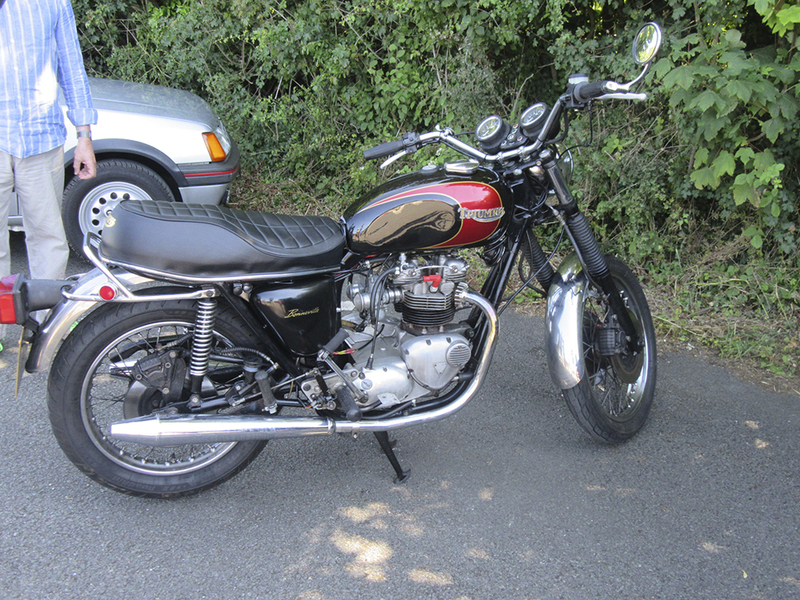 Also, thanks to Scott at the Wheatsheaf (Greetham) for donating a raffle prize. 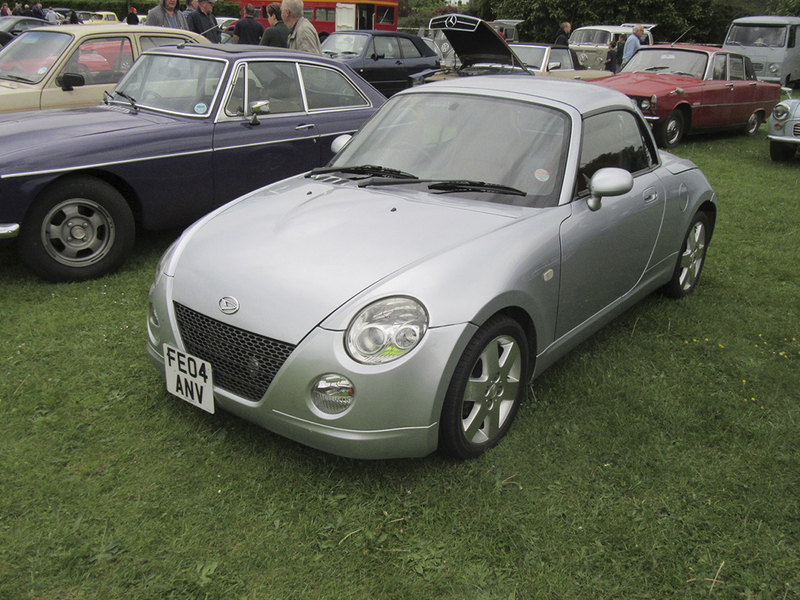 The first Gathering of 2017 took place on May 18th. The forecast was optimistic, and although glorious sunshine was not mentioned, the forecast did at least assure us that the weather would remain dry. So the Gathering organisers, followed the forecast and prepared for the event. It seems also that many of our supporters did the same, and after the familiar slow start, turned up in their droves! The new larger banners and other notices had even encouraged some enthusiast to arrive a couple of hours early, but they did assure us later it was well worth the wait. 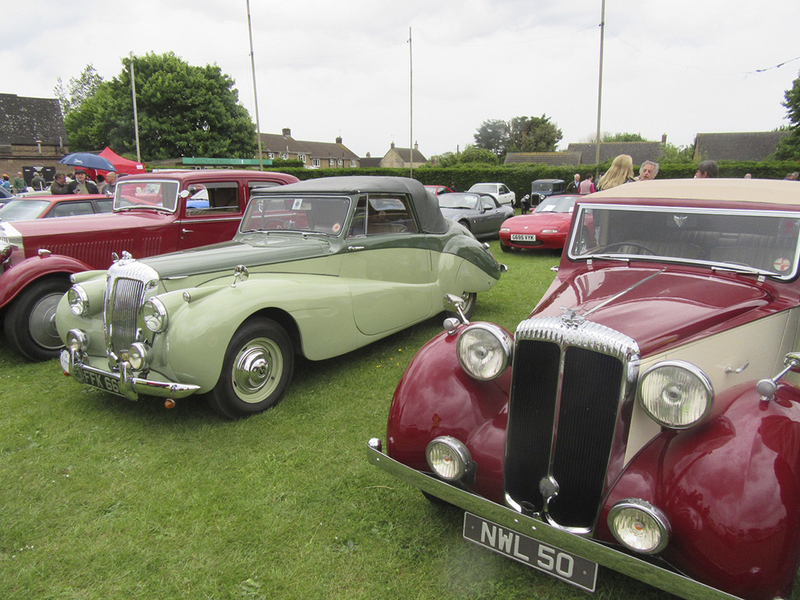 Events followed a familiar pattern as bikers, tractor, bus and car enthusiasts arrived to put their pride-and-joys on display. It would seem that having made the commitment to turn up – probably starting their journey in the dry – when rain started to fall early in the evening there was a feeling that the field would empty in minutes and the event would be a wash out. But no! “The Gatherers” showed their resilience and obvious contentment with being where they were – and most stayed. 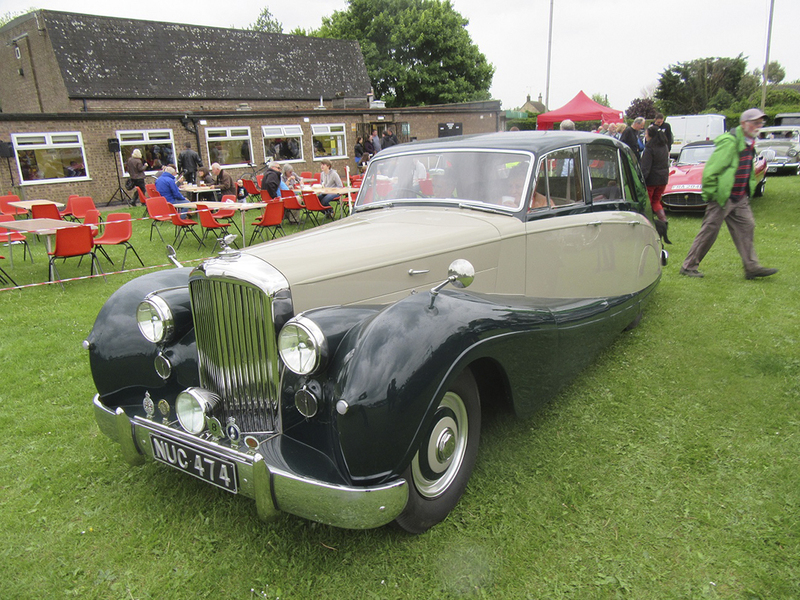 Of course, wandering around in the rain is not the best pastime for any of us, but there was quite a bit of that going on – although many had decided the attraction of teas, coffees, homemade cake, beer and wine inside the Community Centre was the preferable option. Also, the desire to enjoy the hot burgers, pork, curry, chips etc. was worth queuing for in the rain, as the grub was delicious. 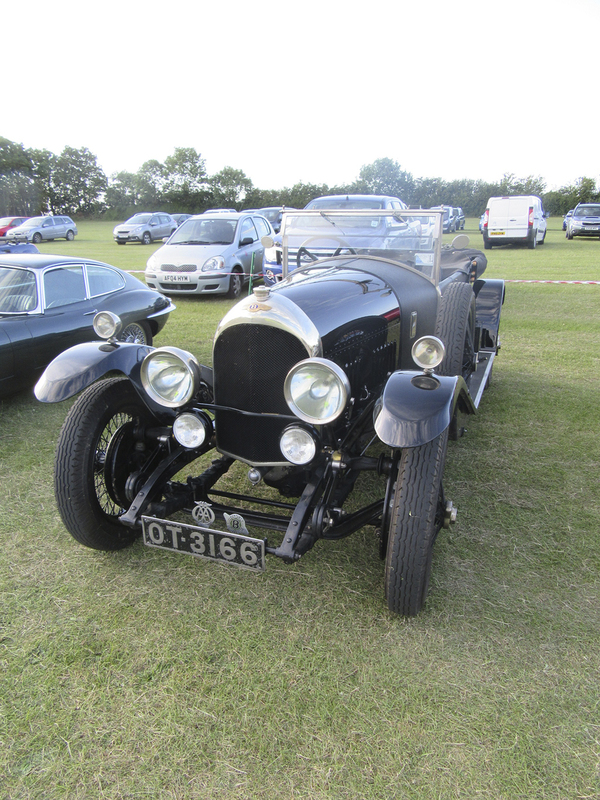 We had an impressive display of cars, a bus and several tractors on the field. 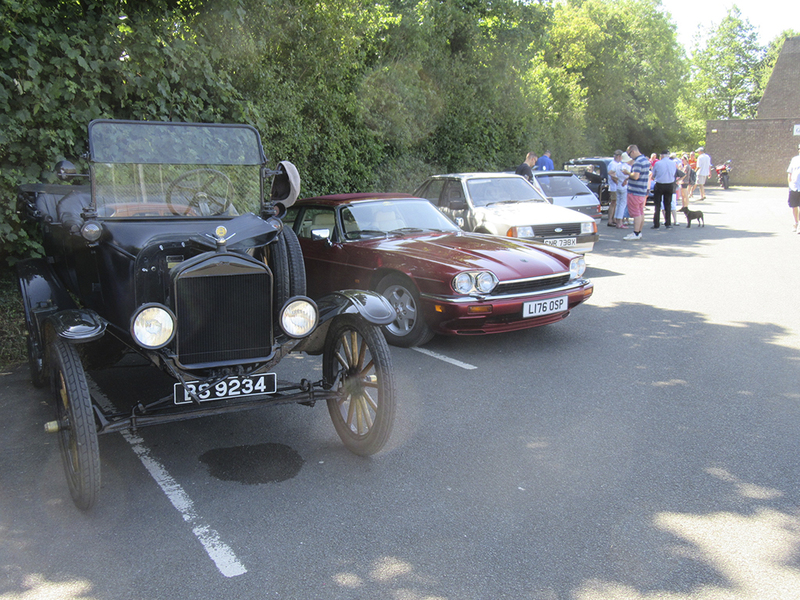 It’s always nice to see vehicles returning to the Gathering, but yet again we were delighted to see some vehicles for the first time. 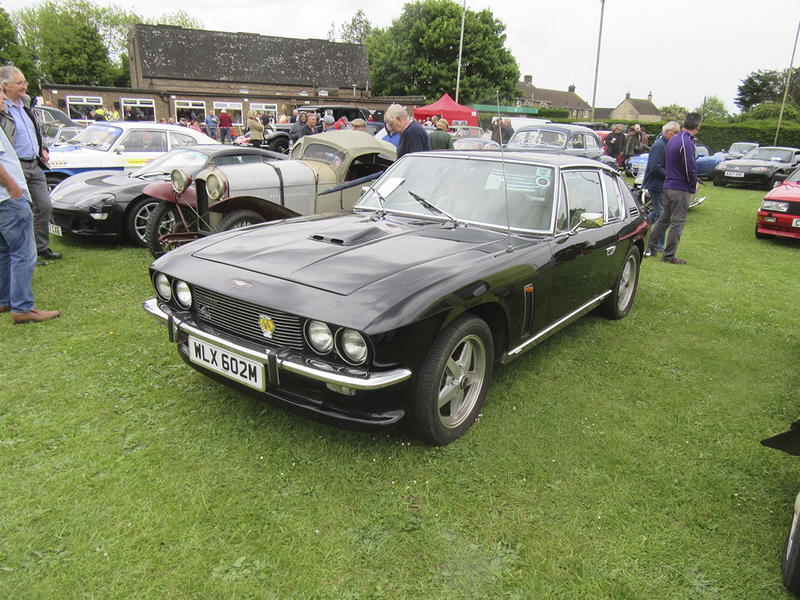 To list all the great vehicles on display would be a big task, as there were about 115 of them, but there were some particularly rare, old and inexpensive (but not many that qualify as all of these) cars, including a Jenson Interceptor, a couple of Rileys, a Ferrari, 2 massive and beautiful Cadillacs, a rare Mitsuoka Viewt (a modified Nissan Micra, sold by the Japanese carmaker Mitsuoka, intended to resemble the 1963 Jaguar Mark 2), an Alvis, many fantastic Rolls Royces, and a 1922 Amilcar which looks like a boat on wheels with a canvas cover for the driver. 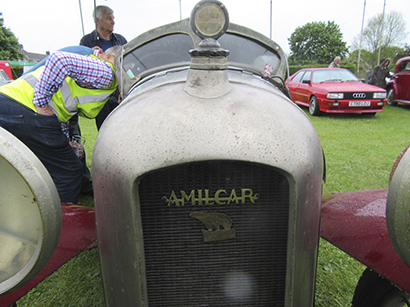 Amilcars were produced in France from 1921-1943. We were so pleased to see it. 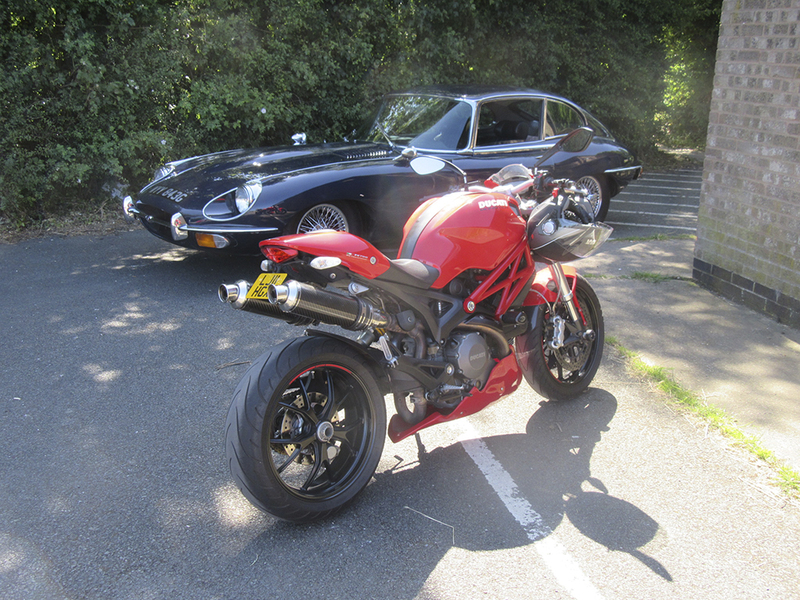 In the motorcycle park we had a nice selection of about 22 classics. 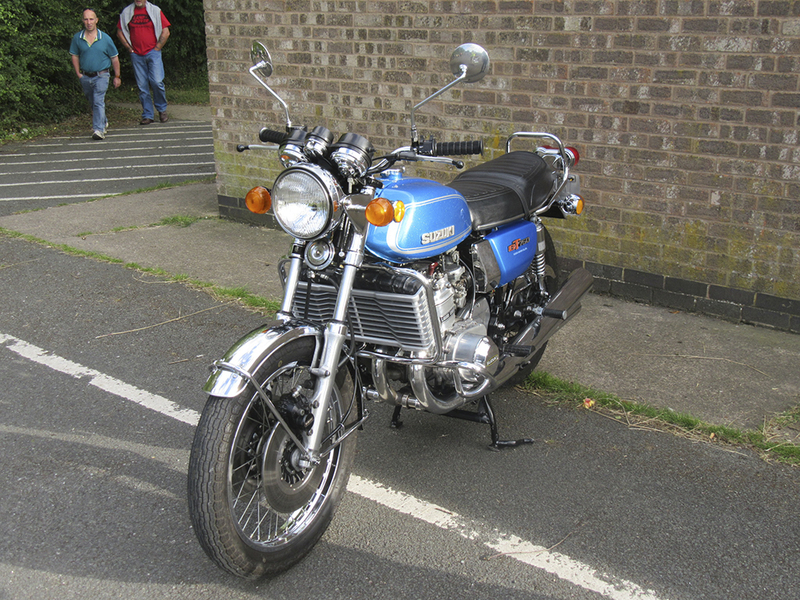 Among those of note was a Suzuki RE5 which was one of the very few Wankel Rotary engined motorcycles ever made. 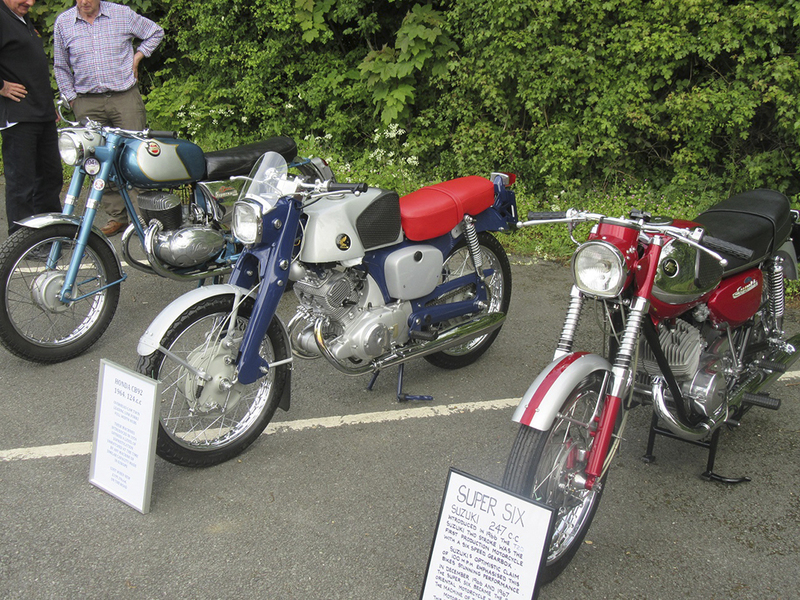 Also on display was a couple of pristine 1960’s early Japanese bikes – a 250cc Suzuki twin T20 – the first production 6-speed motorcycle, and a Honda Benly 125cc twin, which would show British 250/350cc bikes a pair of exhausts disappearing into the distance. 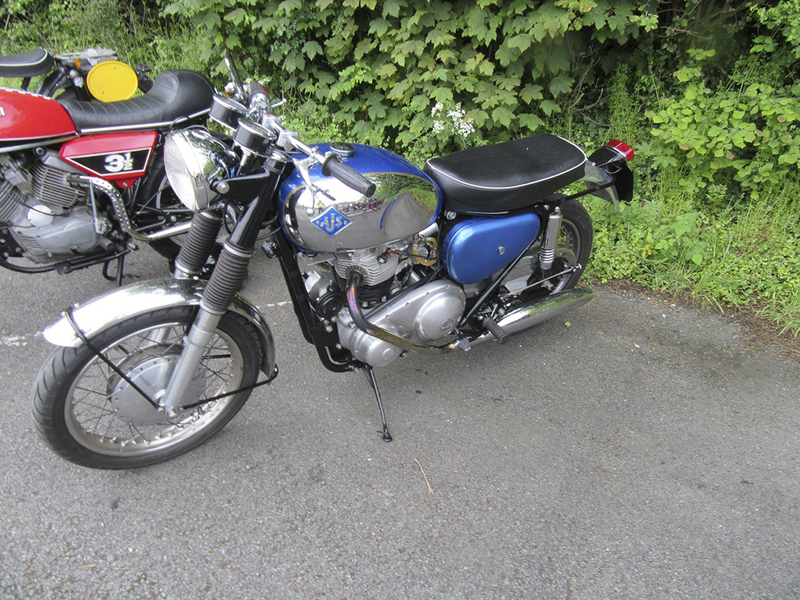 We were also graced with a 250cc James twin, a Matchless twin, a Morini v-twin, a rare BMW R26 250cc single, and a nice Yamaha XS650 twin. 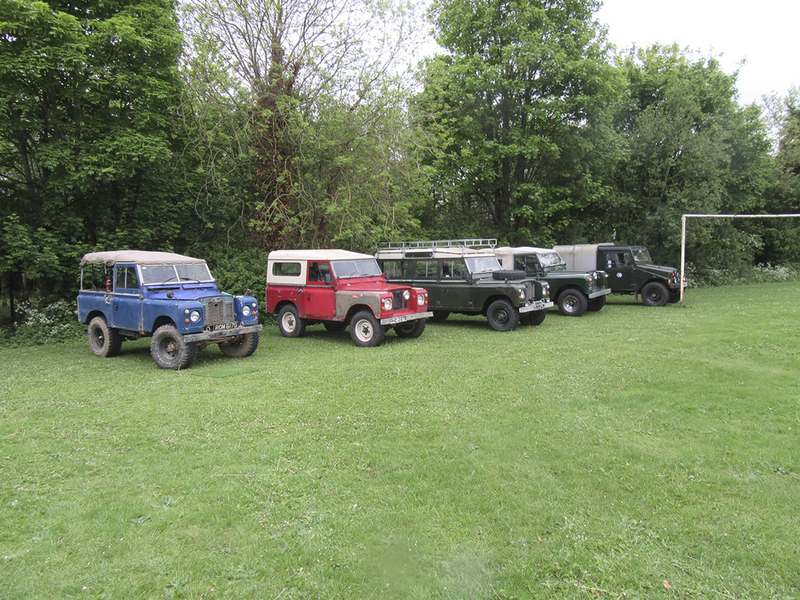 Thanks as always must go to all who attended, whether showing a vehicle or not. Also to Andy and crew for the fine food he always prepares; to Anne and team for the bar (which did a great job); to Maureen and Carol for the cakes and coffee, to Lorine for running the raffle, to Debbie, Sue and Pippa on the gate, to Brian for helping marshalling and to all the supporters who lend a hand as and when. 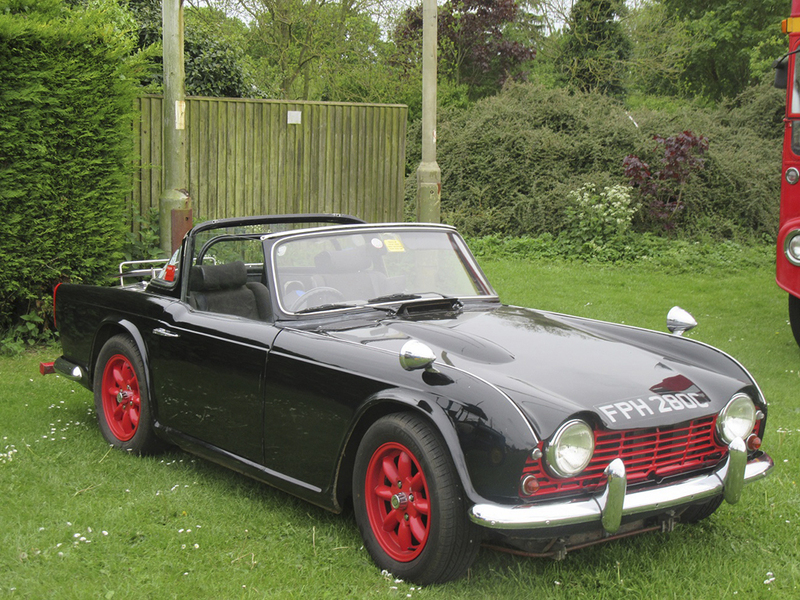 Also, thanks to Beanie at the Plough (Greetham) for donating a raffle prize. 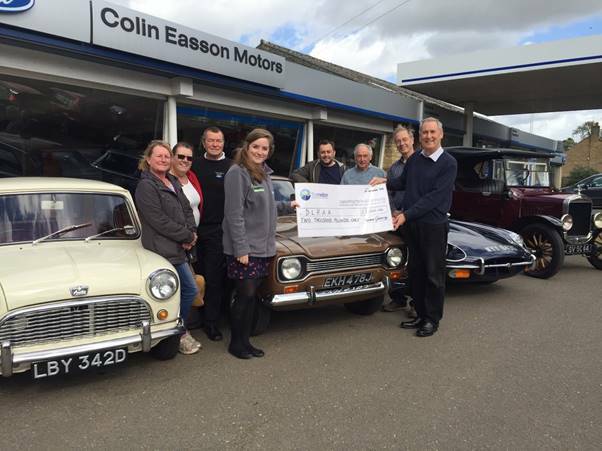 On Thursday September 29th 2016, the Greetham Gathering’s Committee and helpers met Charlotte Marson from the Derbyshire, Leicestershire and Rutland Air Ambulance Service (DLRAA) at Colin Easson Motors in Cottesmore, Rutland, to present a cheque in support of the DRLAA. 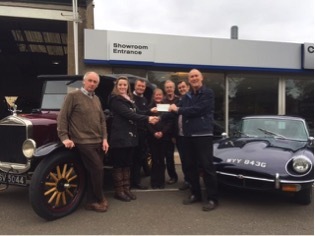 In 2014, the first year of the Greetham Gatherings, the committee were able to present a cheque to the DRLAA for £450. 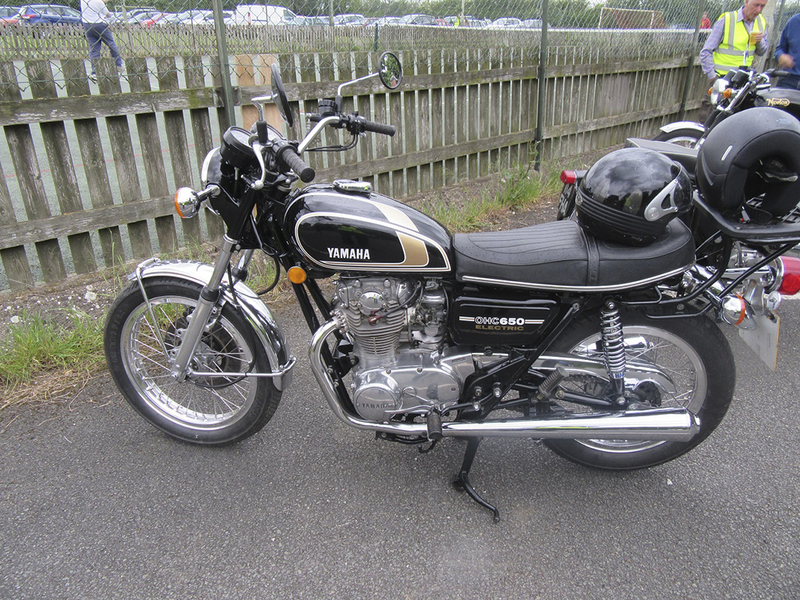 In 2015 the donation was £1500. 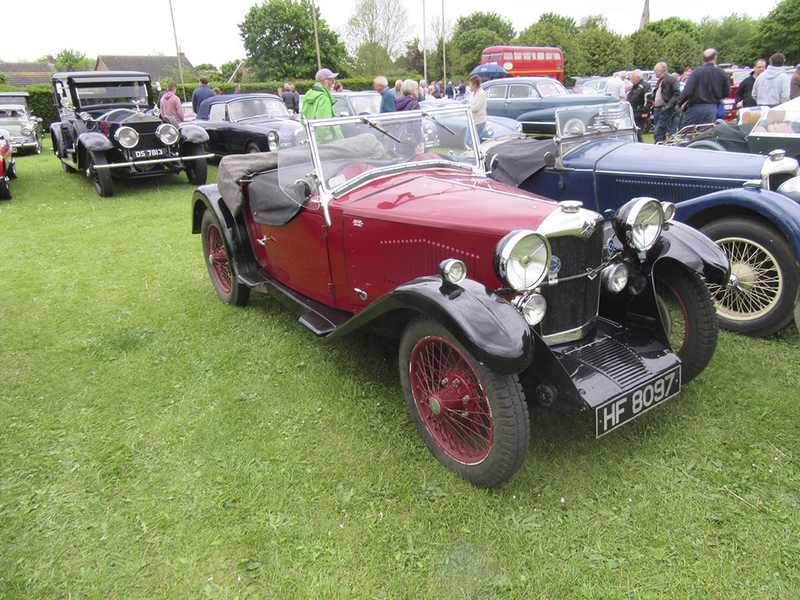 2016 has proven to be a much more challenging year (with some poor weather) but also a more successful year for the Gatherings, and with all the extra support from the public, the committee were delighted to present a cheque for £2000 to the DLRAA. The picture (below) shows Martin Fairbairn, treasurer for the Greetham Gatherings, present a cheque for £2000 to DLRAA representative Charlotte Marson. In the picture are Gathering committee members and helpers, from left to right: Debbie Easson, Janet Thomas, Roland Easson, Charlotte Marson (DLRAA), Mike Carr, Gilbert Thomas, Malcolm Radford, and Martin Fairbairn. 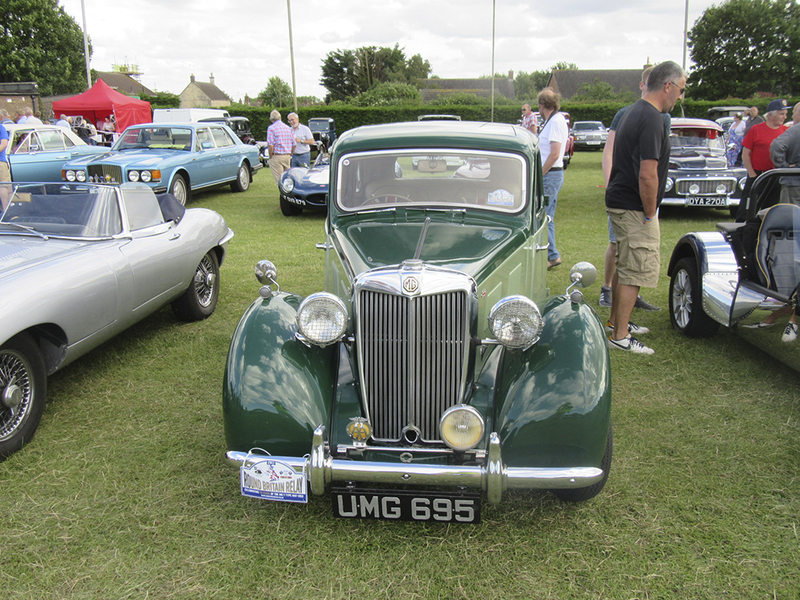 The last 2016 Greetham Gathering was held on 15th September at Greetham Community Centre. 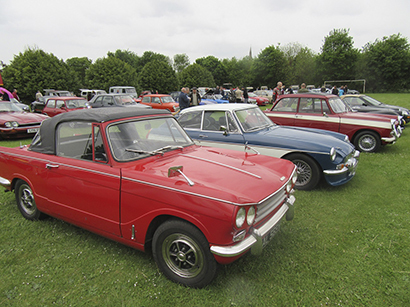 The Gatherings have now been held over the last 3 years, and the final one of the year has the challenges of an early departure for some vehicles because of the failing light. 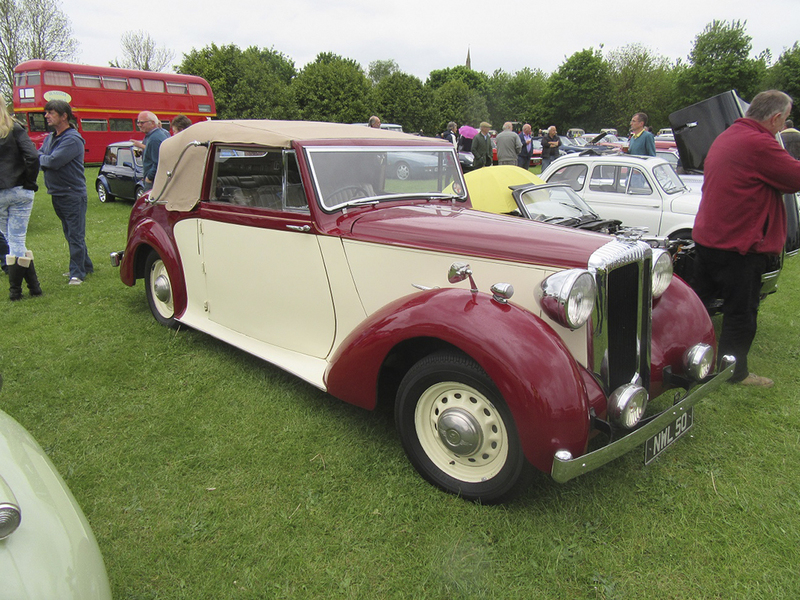 However, the warm sunny weather obviously encouraged many to turn out and give the public a great display of vehicles. In 3 years the attendances of the “last” Gathering of the year have more than doubled, emphasising the interest and appeal of this event. 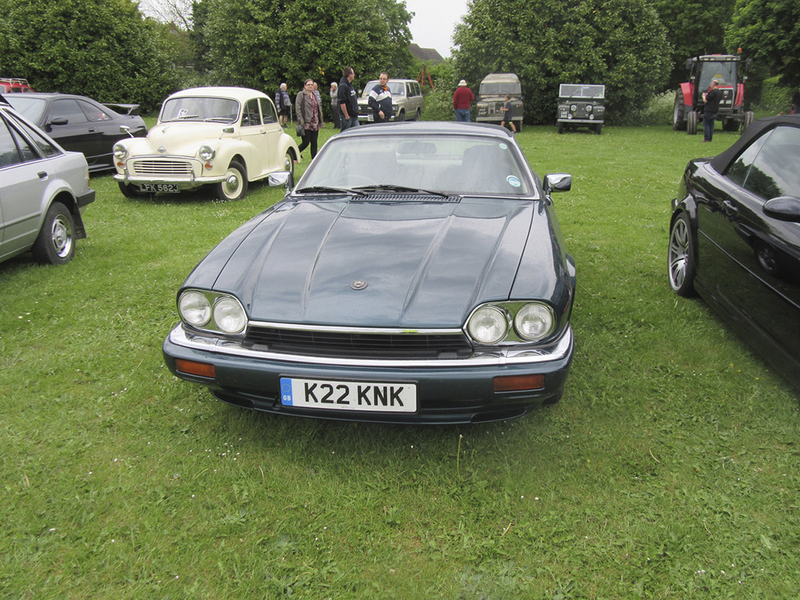 Yet again, the organisers remain surprised and delighted at how many vehicles arrive that have not been before. 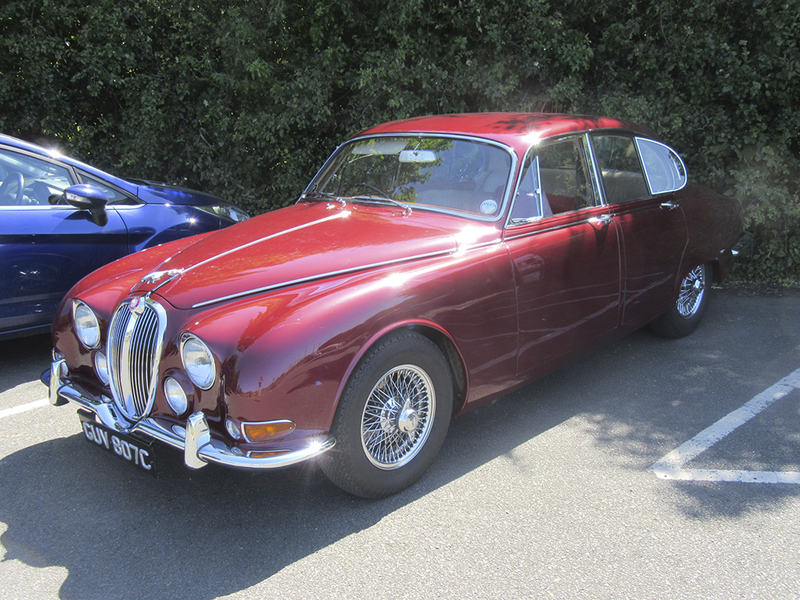 In the car paddock there were about 100 classics. 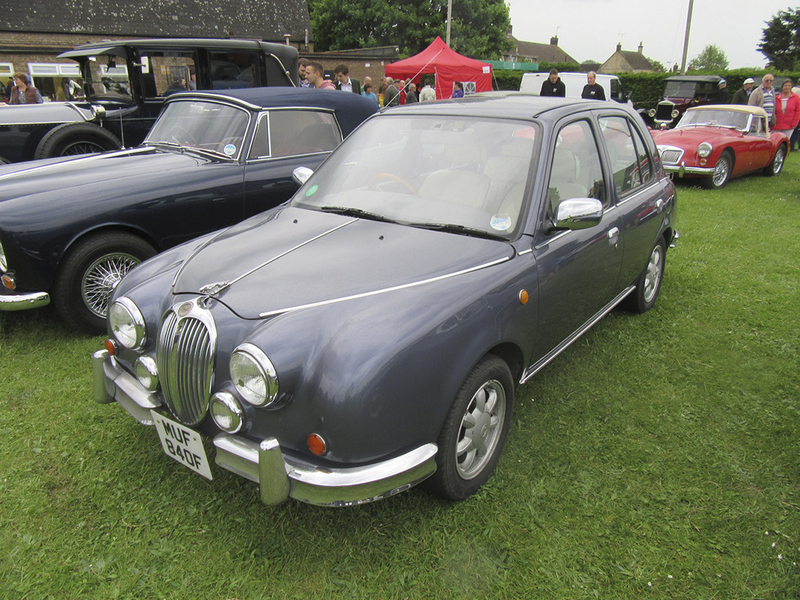 These included Jaguars, Citroens, Austins, Rovers, Fiats, Porches, Audis, Triumphs, Morris, Aston Martin, Mini, Mercedes, Maserati, TVR, Alpha Romeo, Vauxhall and others. 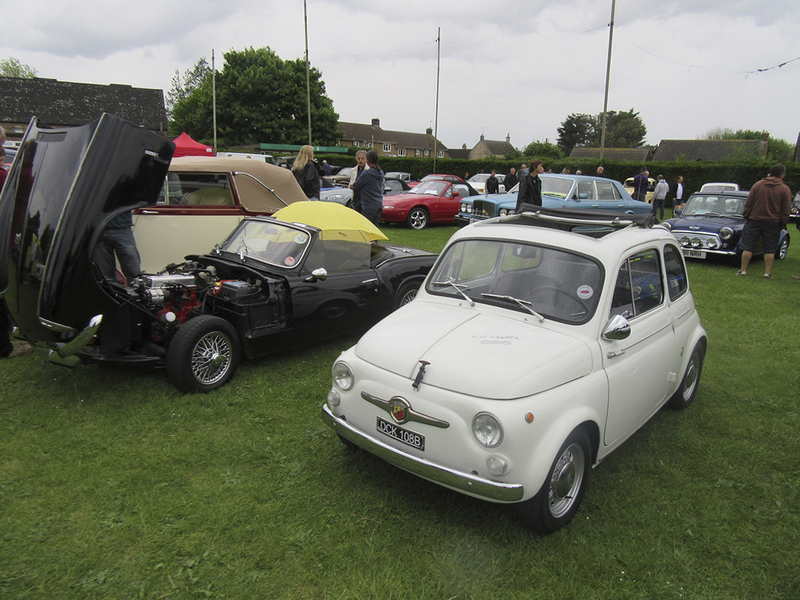 Also in attendance was a monster wheel Chevrolet truck, a replica Isetta-BMW bubble car (with 4 cylinder Honda 250cc bike engine in it! 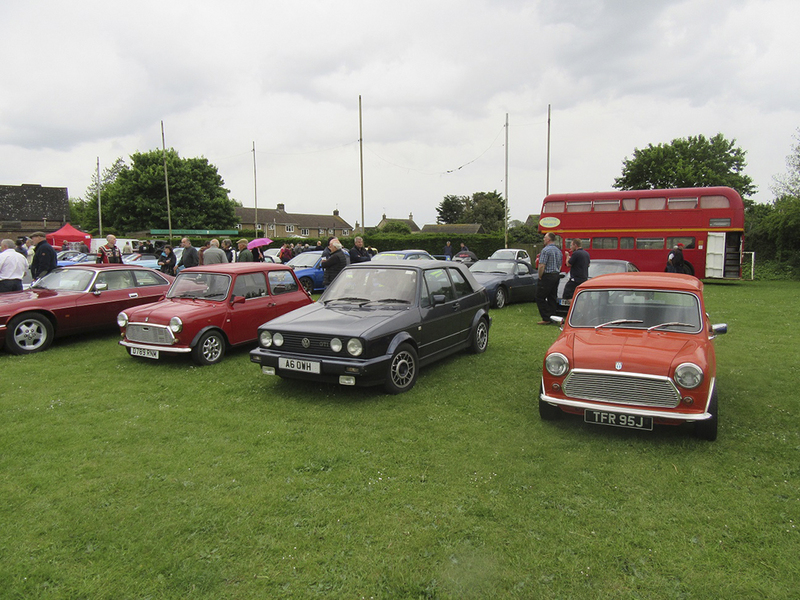 ), a growing collection of VW Camper vans, a Ford Dexta tractor and the “local” London Routemaster bus! 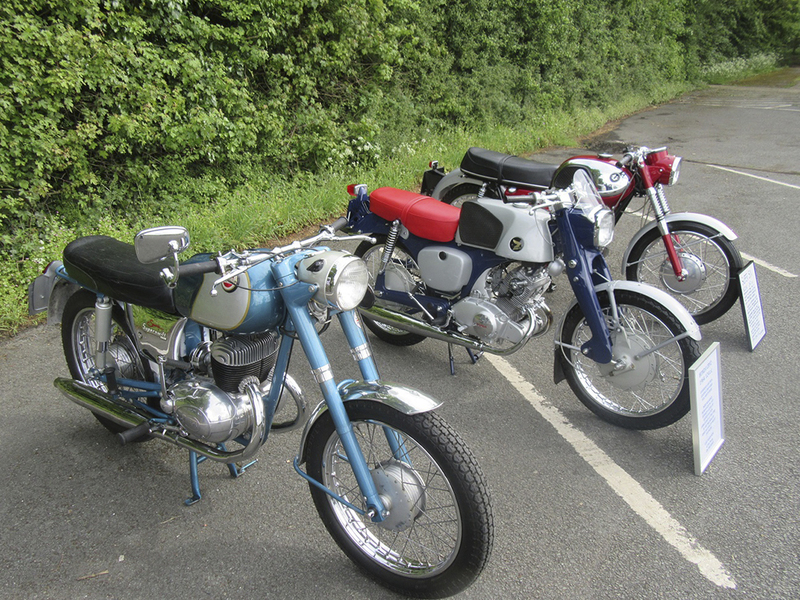 In the bike paddock there were about 18 classics in the 50 bikes that made an appearance. 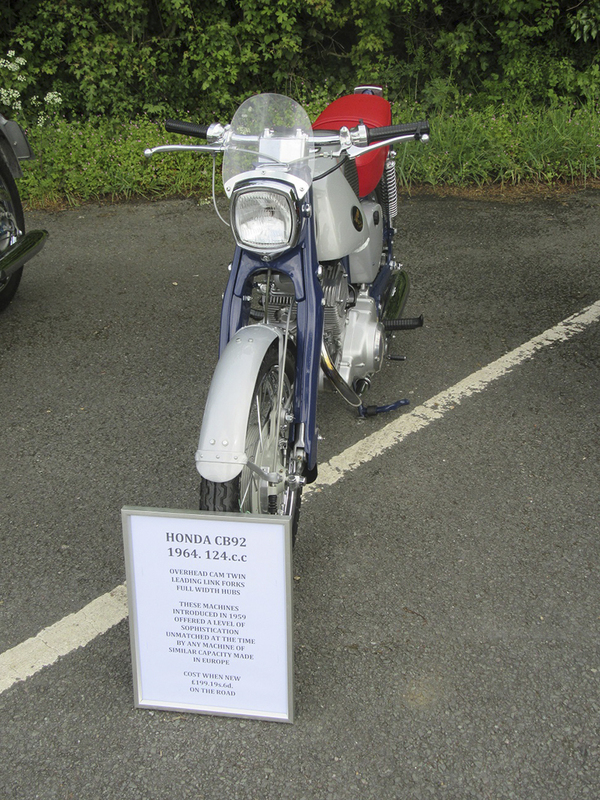 Included there were a trio of Velocette singles, various BSA twins, a rare (rescued from a shed) Honda C70 cub, a beautiful Yamaha FS1E 50cc moped (these used to be everywhere when kids were learners on mopeds), a Suzuki, Morini, Guzzi, several Hondas (including a rare 1000cc 6 cylinder CBX), an AJS 33CSR (with Norton Atlas engine and cycle parts) and a beautiful early 1960’s Triumph Thunderbird. 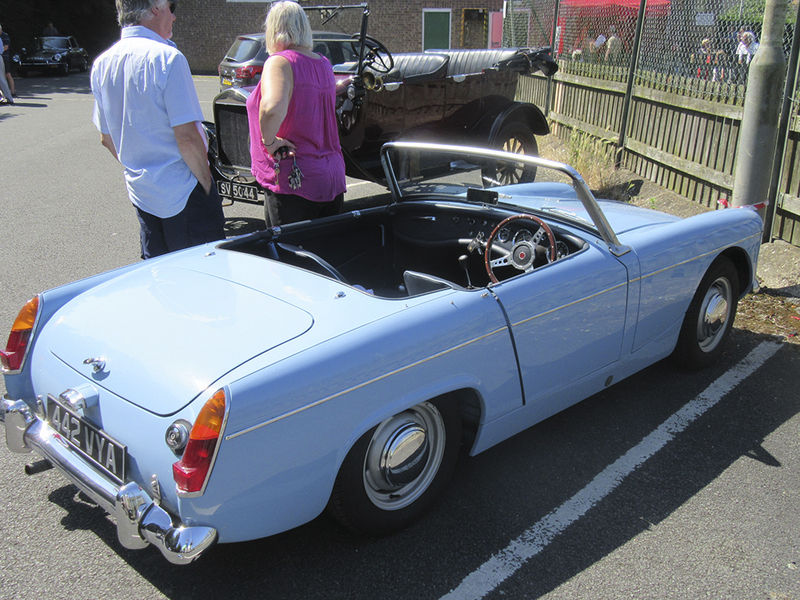 Thanks as always must go to all who attended, whether showing a vehicle or not and who supported our raffle. Also to Andy and crew for the fine food he prepares; to Anne and team for the bar (which did a great job); to Maureen and Carol for the cakes and coffee, to Julie for selling raffle tickets, to Debbie, Sue and Pippa on the gate, to Brian, Bill Rogers and Malcolm Radford for helping marshalling and to all the supporters who lend a hand as and when. 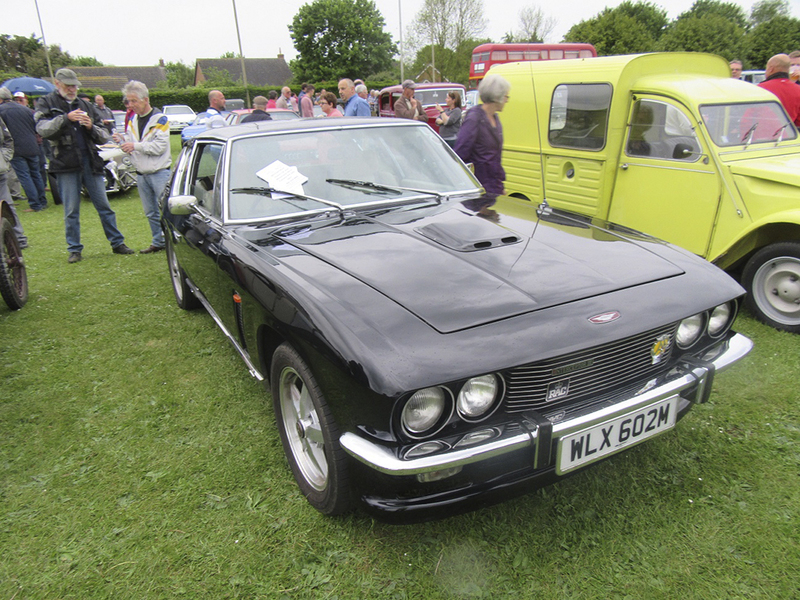 Also, thanks to Beanie at the Plough for donating a raffle prize, and belated thanks to Scott at the Wheatsheaf and Sandy Begy for each also donating a prize at the previous Gathering (Sorry – I didn’t know until too late last month). We plan to hold the Gatherings again in 2017 on the 3rd Thursdays of May to September, but will keep you all informed of any changes or news. We shall also be making our annual donation to the local Air Ambulance in the coming months (once we have done our sums and got the presentation arranged) and we will keep you posted on that. Be sure to check back on this website for more information. The August Gathering. Just when you thought things could not get any better – they just did! As with all Gatherings, part of the success is down to the weather, and we had a perfect forecast and a perfect evening. 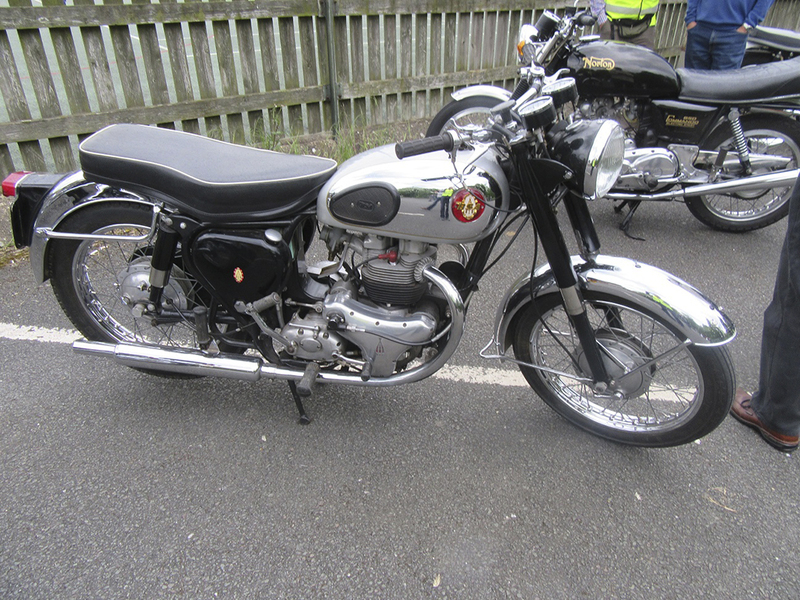 And yes, we exceeded our June turnout with about 55 bikes, over 130 classic vehicles and many more just visiting. Fantastic. Despite the fact that we had expanded the show area for parking, we came close to filling that arena and so will maybe need to think again for future meets. 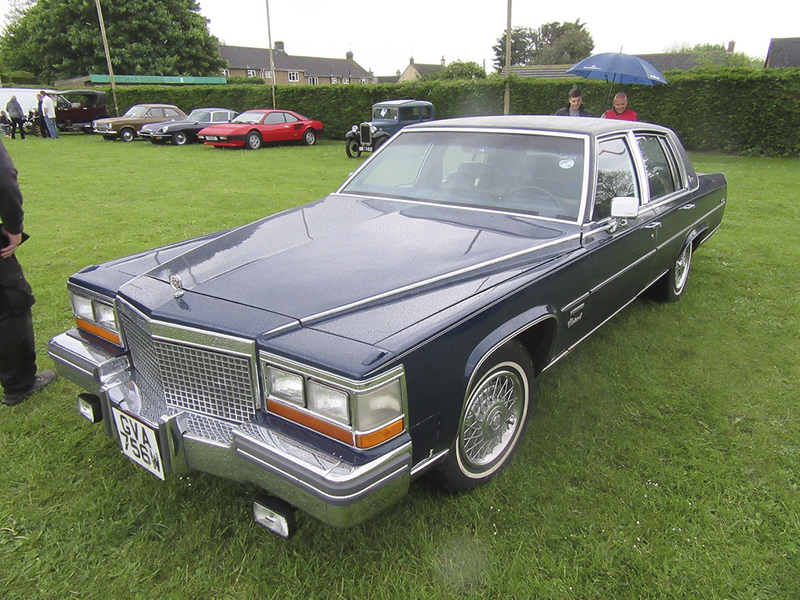 There were simply too many vehicles worthy of a mention to include in this write up. 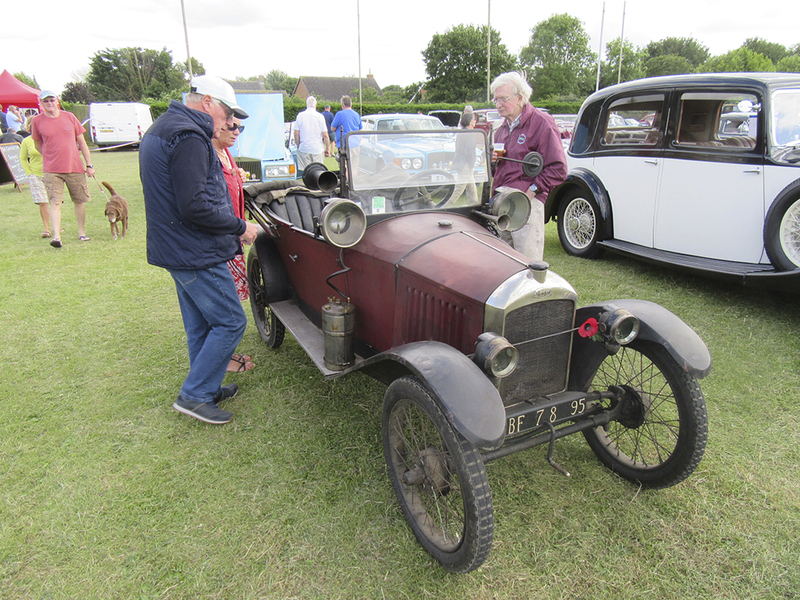 Suffice it to say that there were a significant number of “new” vehicles (“new” in this context meaning we had not seen them at the Gathering before) and many of our regular friends turned up – and we thank you all. 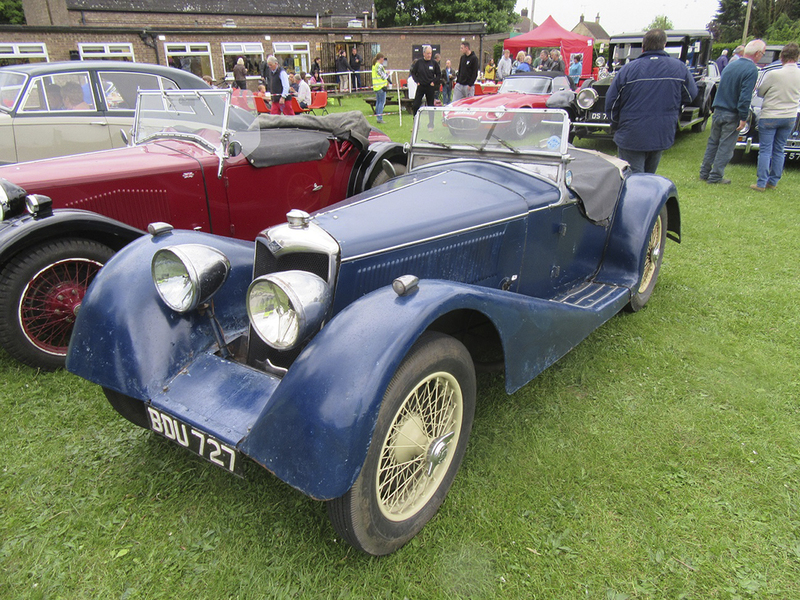 But I will mention a few marques that took the eye – An early 20th century Renault, an Allard, a Ferrari, a Maserati, many fine MG’s, VW Campers, Jaguars, Rileys, Fords, Datsuns, Rovers, and many, many more. 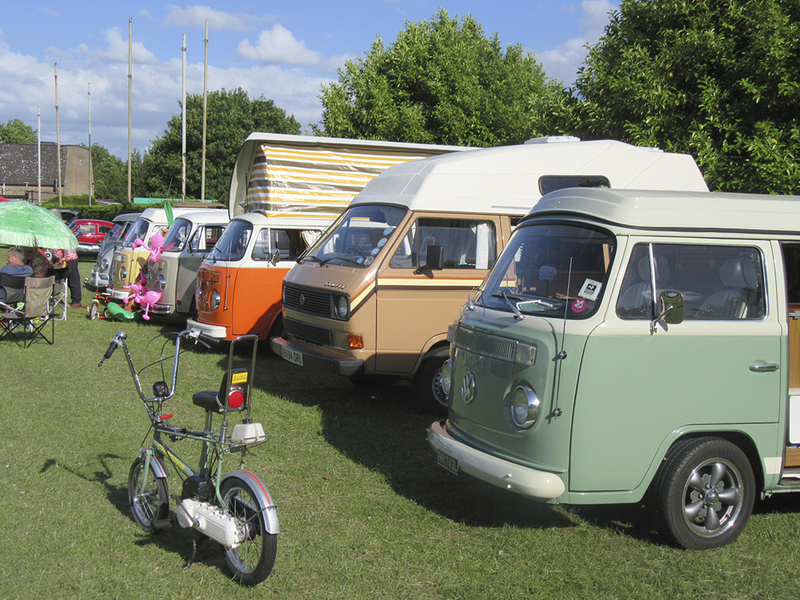 We seem to be attracting now a core number of Land Rovers and VW Campers, and long may that continue. 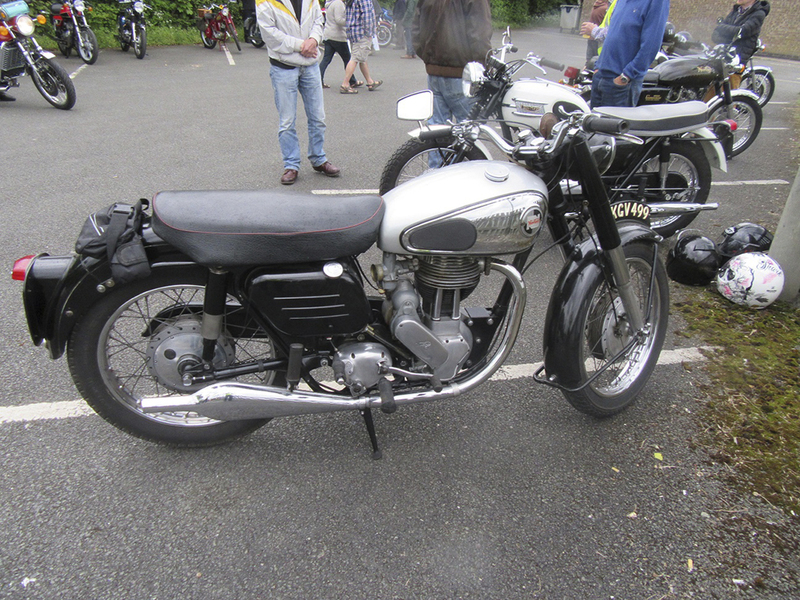 In the bike park we had a beautiful Calthorpe single (not usually seen outside of museums but this is definitely an on-the-road bike), a Rudge, and many more fine machines. 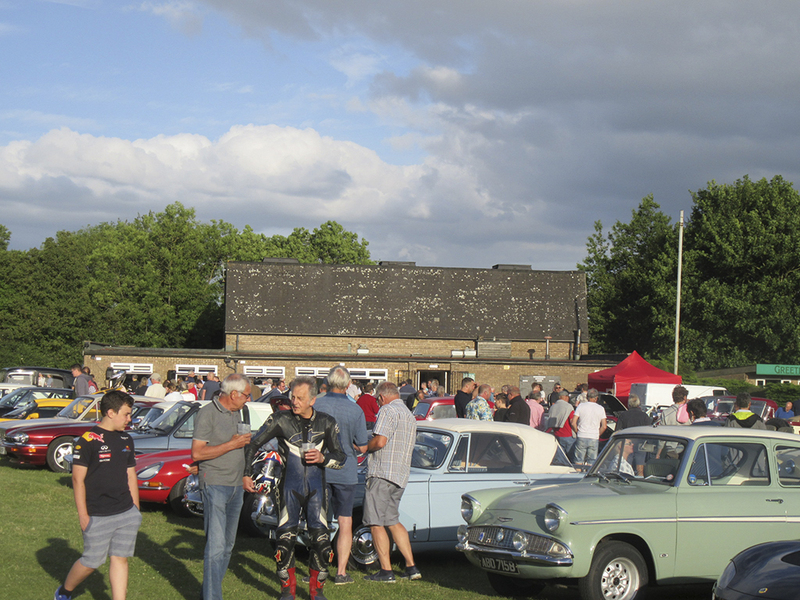 We estimate that the meeting attracted more people than ever, probably close on 450, and at times the food and drinks providers were put under a strain, but the lessons learned from July had a positive impact. 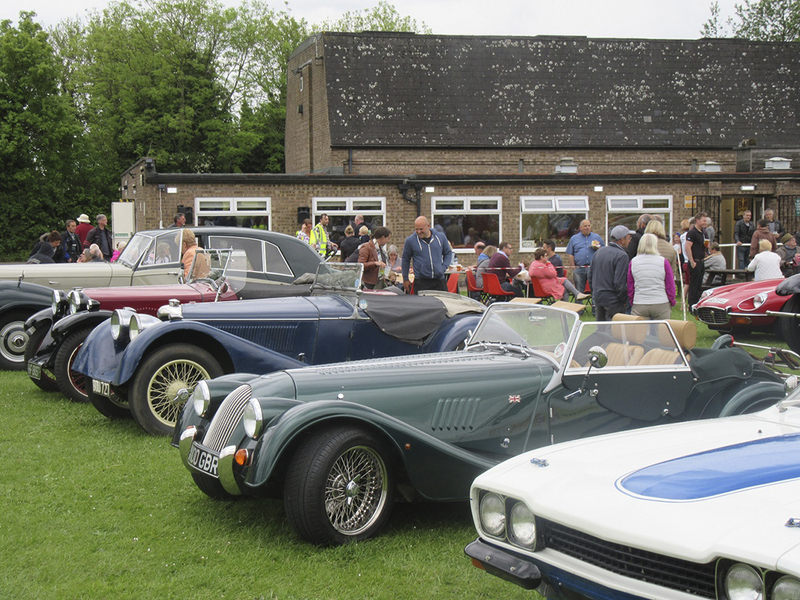 Again our thanks go to all who attended and all who form part of the service delivery – food, drinks, marshalling, collecting raffle and entry money. We are a small team but do it because we enjoy it. We like to make you welcome – so feel free to chat with us – we wear the fluorescent bibs. 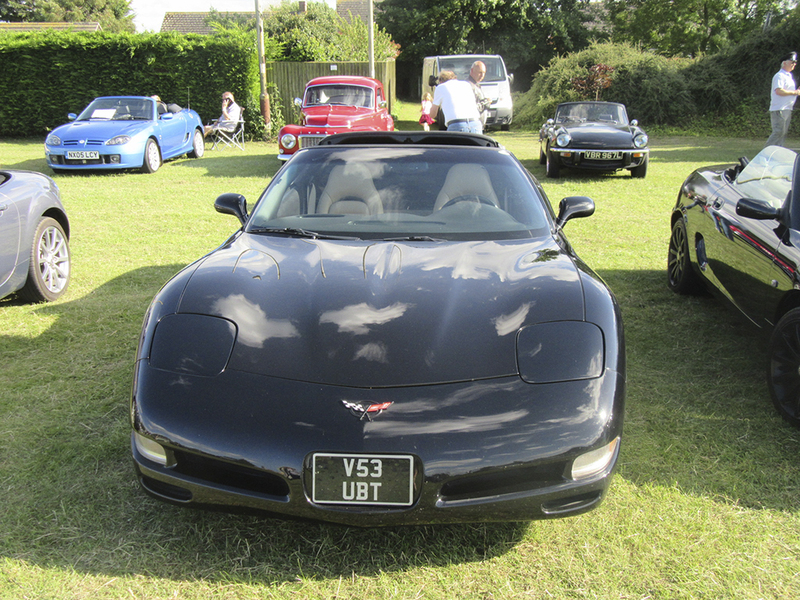 A couple of points arose from the August Gathering. 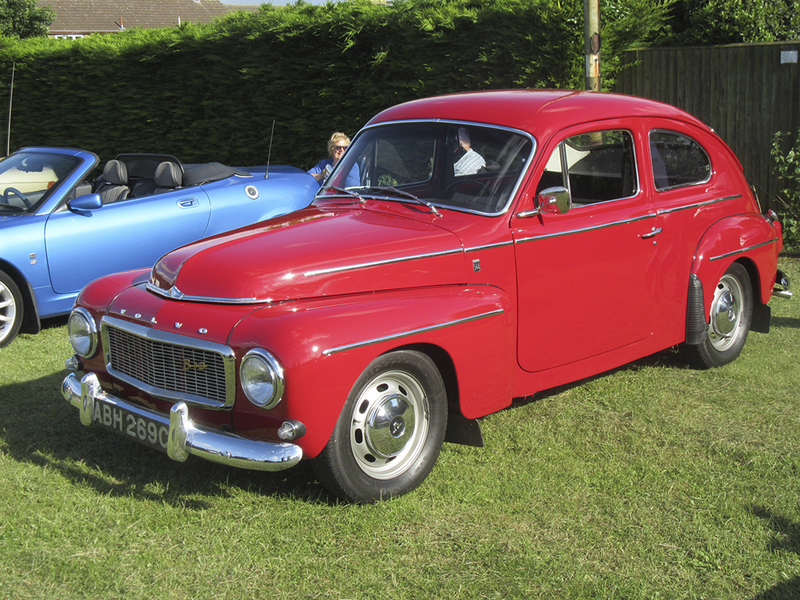 Firstly – several car owning visitors decided to park on the grass verge on the approach road to the Gathering, and enter by foot. The congestion this can cause probably won’t win us any friends in the village, so next time we’ll probably partition off those verges. 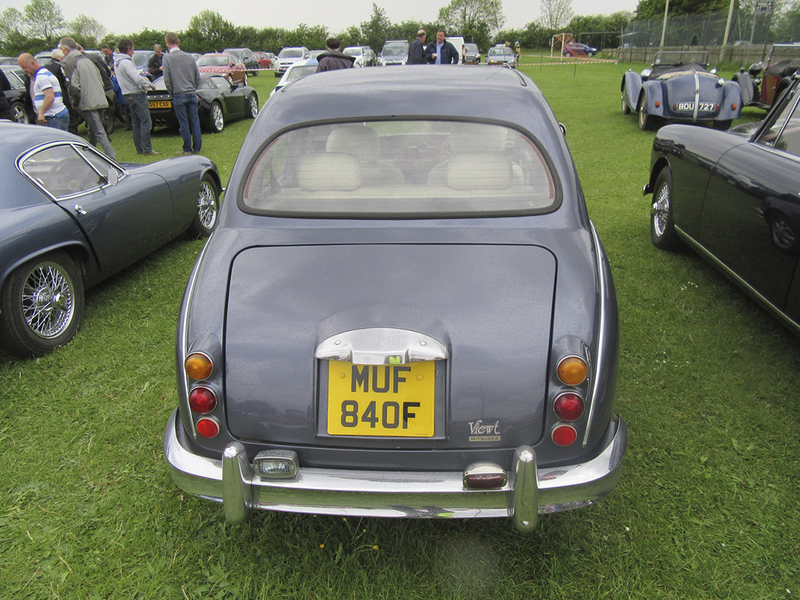 Secondly, some people arrived by coming into Greetham through the gated section of Great Lane (i.e. from the north). We absolutely cannot allow this and must ask that you do NOT do this again. We can only run the Gathering on the basis that we exit all vehicles up this very narrow road in a one-way fashion, otherwise we cannot have the gates open at all, and without that we could not hold the Gatherings. So PLEASE, DO NOT ENTER GREETHAM FROM THE NORTH – i.e. down Great Lane through the gated section. Pictures from this Gathering are posted on the Gathering website (www.GreethamGathering.co.uk). 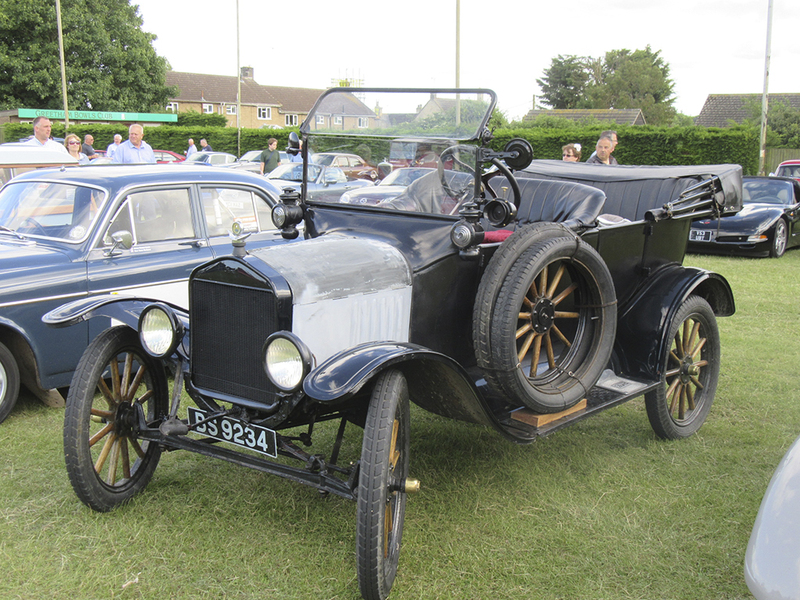 We shall only post the rarer vehicles as we may soon run out of web space. Please make a note of the next Gathering which is on September 15th – same time, same place, and hopefully with a repeat of the weather! Remember, that we donate our profits to the local Air Ambulance. Thanks again to our supporters – we remain optimistic that the success of this event will continue and we shall grow to be even bigger in 2016. See you in September. 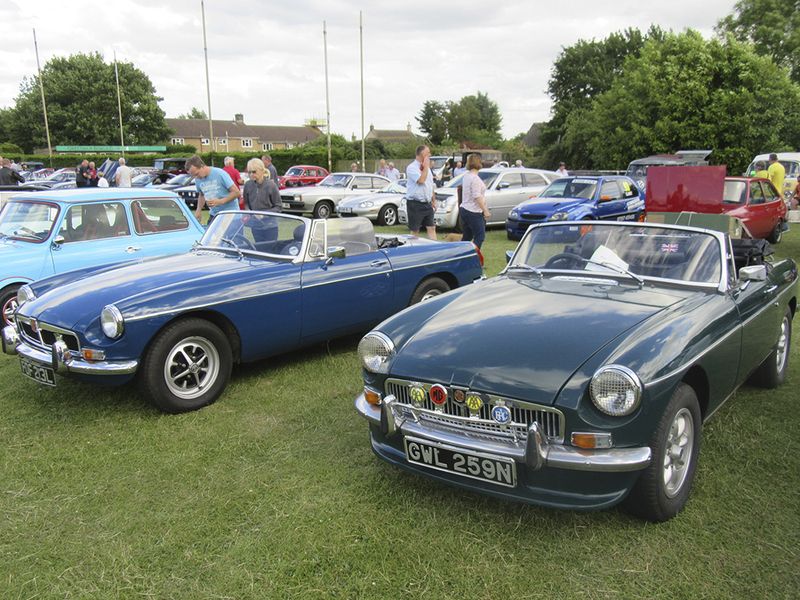 The July 2016 Greetham Gathering was held on 21st July at Greetham Community Centre, and will go down as being the best attended one to date. In the two and a half years that the Gathering has been going; this meeting was the best supported yet. 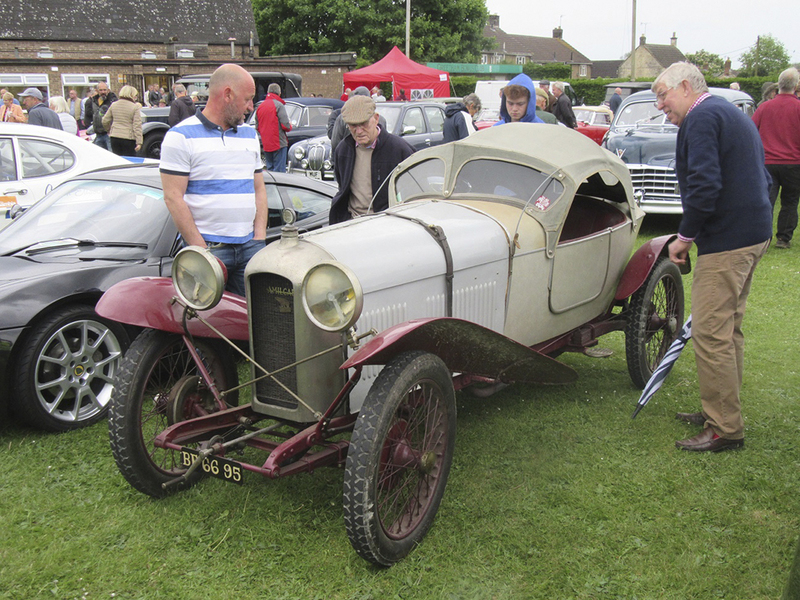 The lighter and longer evenings, and the warm dry weather were positive factors in persuading exhibitors to come along, and the number and variety of vehicles on show always attracts many other interested “gatherers”. 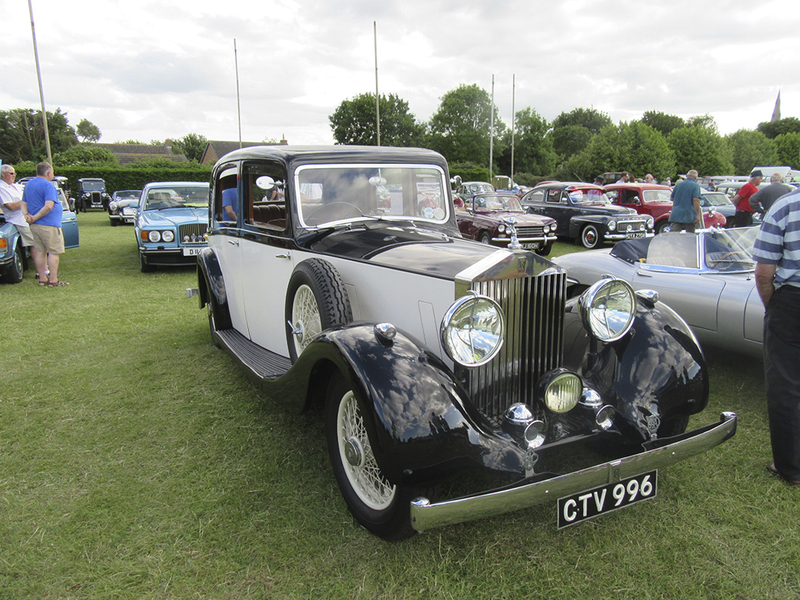 Throughout the evening, a steady stream of show vehicles came through the gate and at one point there was approximately 110 classic cars on display, alongside 30 classic motorcycles. 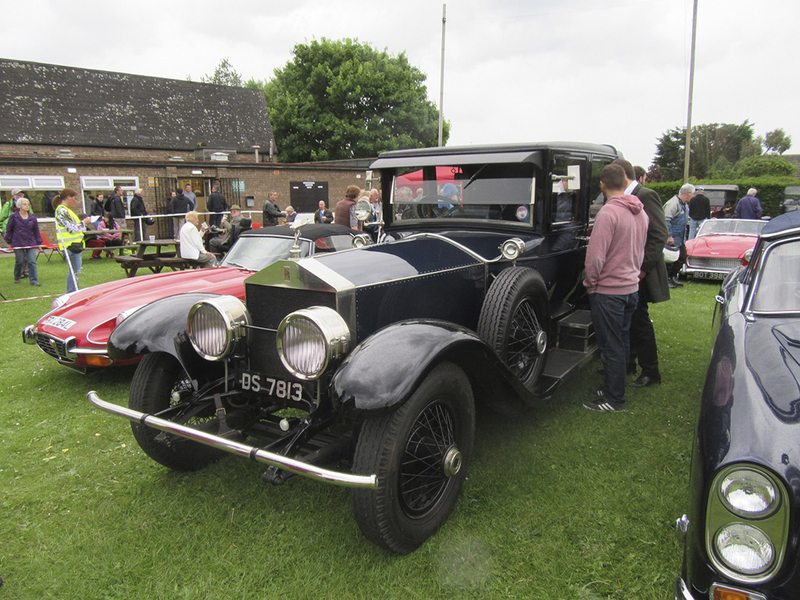 In all, it is estimated that there were over 500 people in attendance – a remarkable number and a testament to the popularity and success of this event. 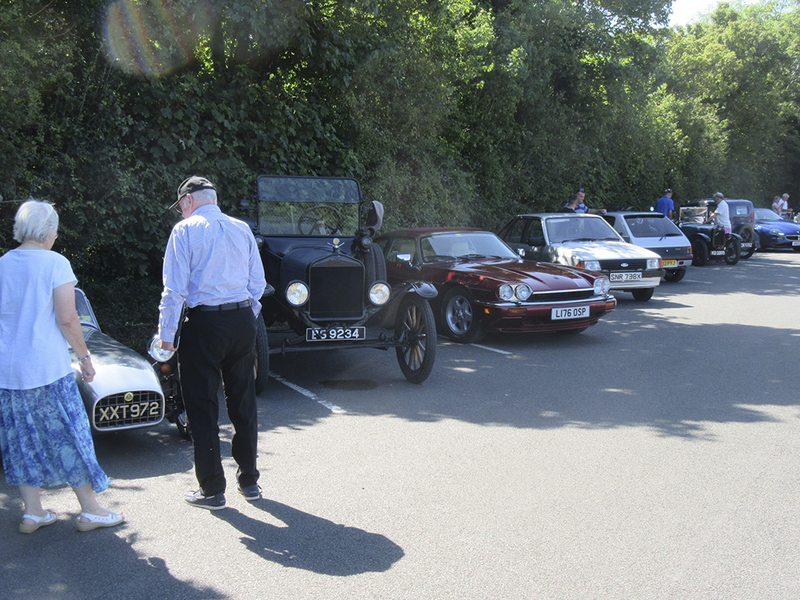 The opportunity to closely study some of the great vehicles of the past; talk with the owners and other enthusiasts, whilst enjoying a bite and a drink in a spacious, friendly environment is seen as a real attraction. 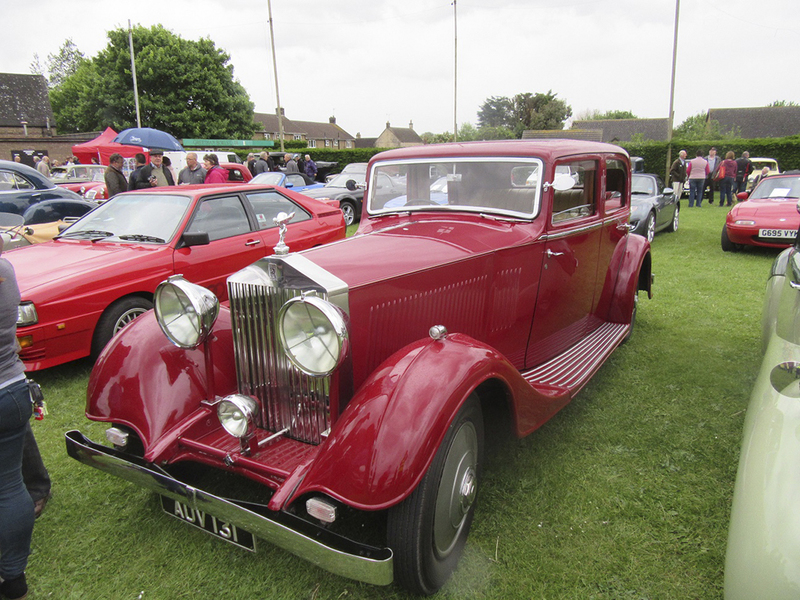 Of note, the following car marques were in attendance: Rolls Royce, Aston Martin, Bentley, Corvette (US), Chrysler (US), Buick (US), Packard (US), Alpha, AC, Lotus, Porsche, Lotus, Jaguar, Singer, Bianchi, Fiat, Mercedes, BMW, Lanchester, VW, Austin, Morris, Rover, Audi, Ford, Riley and , an 1899 Deceauville Voiturelle(!) and many more! 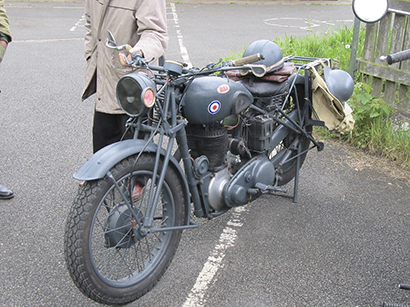 In the motorcycle park were Nortons, BSAs, Harley Davidsons, Ariels, Royal Enfields, Hondas, Ducatis, Yamahas, Suzukis, Matchless, a motorised push cycle, and it was nice to see a couple of BMWs with sidecars. 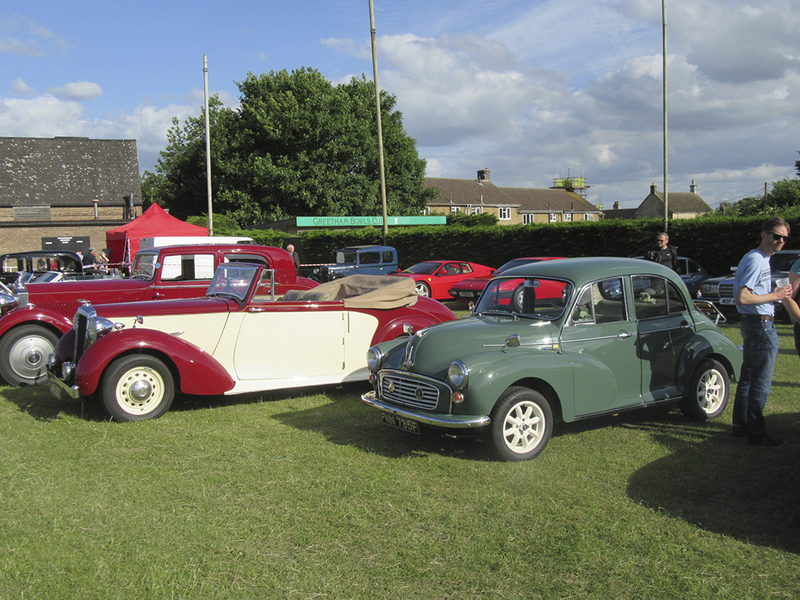 The Greetham Gathering is held on the 3rd Thursday of the months of May to September, at Greetham Community Centre, Greetham, LE15 7NG. All are welcome. 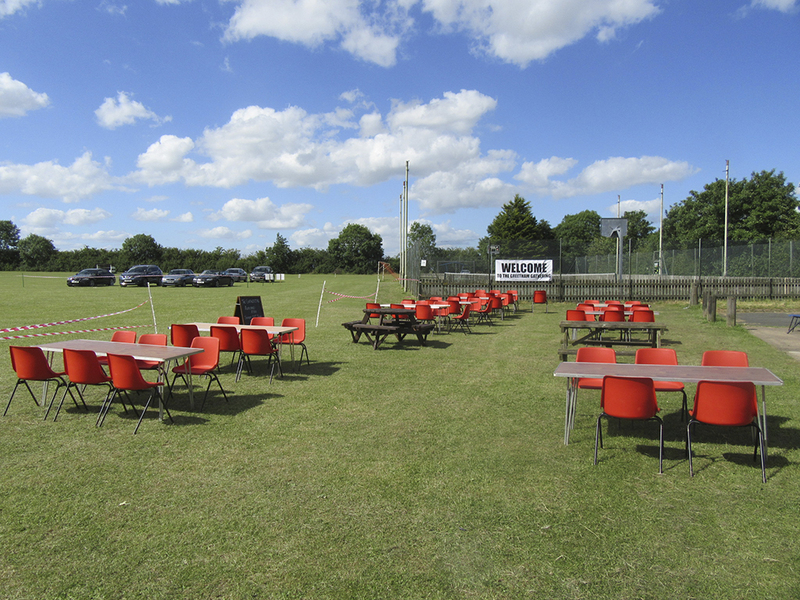 On site is fast food, tea, coffee, cakes, licensed bar and plenty of parking space. 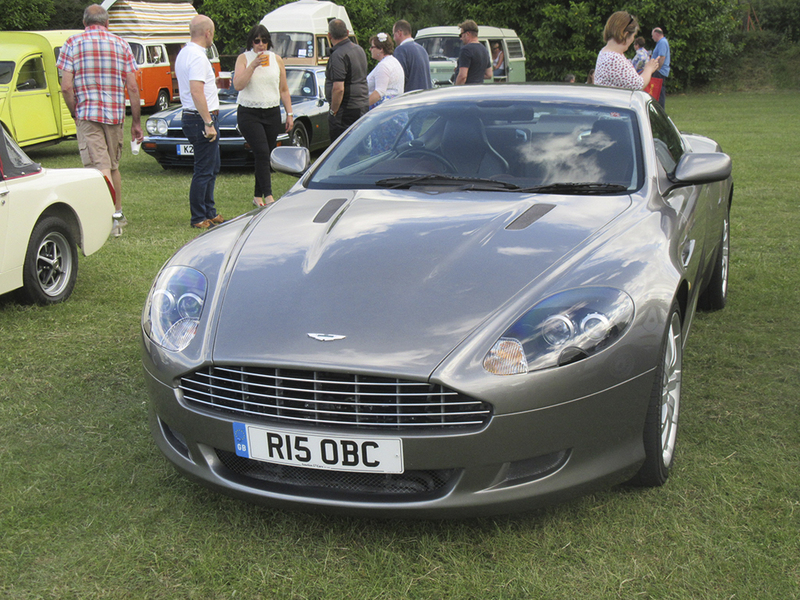 Vehicles are charged just £1 to park and all profits go to the local Air Ambulance. More details can be found on the Gathering website (www.GreethamGathering.co.uk). The next Gathering is on August 18th, and all are welcome so do come along. Thursday 16th June was a really wet day. 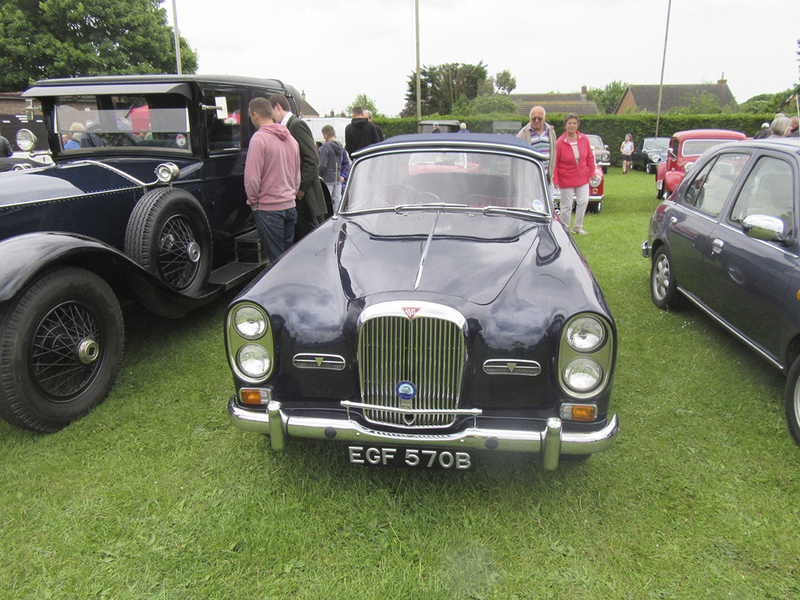 The weather had been very wet all week leading up to the gathering, and the forecast was, well, grim – no, very grim! Rain interspersed with showers and an occasional dry spell was the forecast and so the organisers were prepared for a big non-event. The parking spaces were sectioned off, the signs in place, the tea in the pot and the pints ready – so all that was needed was gatherers. 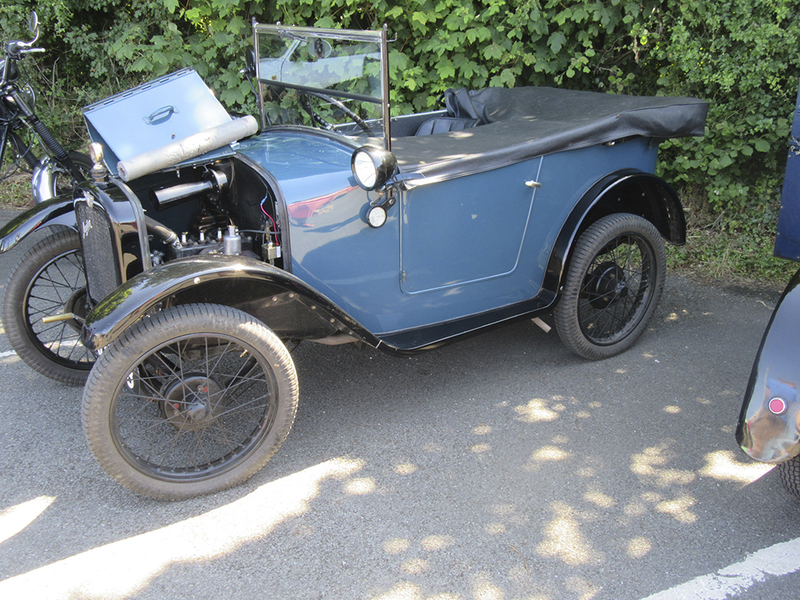 At the usual start time of 4:00 o’clock there were 3 cars – from Greetham village, and slowly a few more turned up. 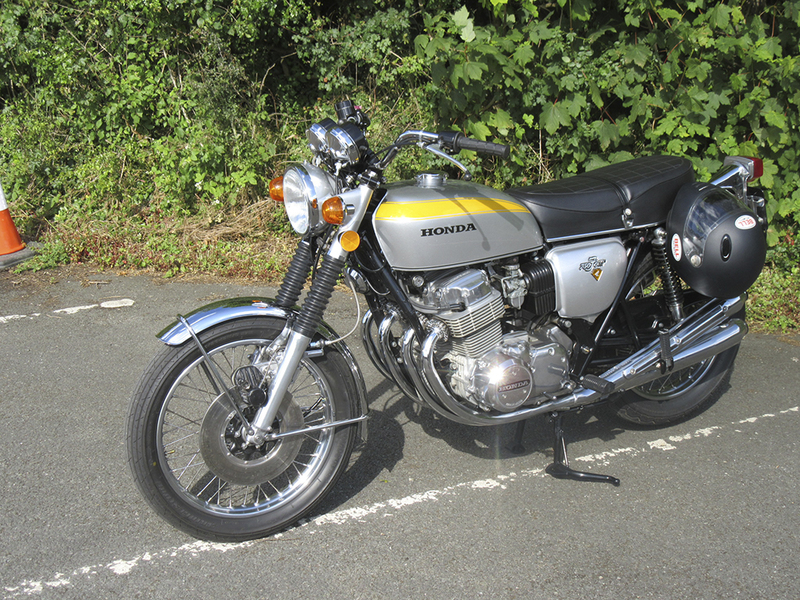 Everyone understood – who wants to bring their pride and joy out in the rain? 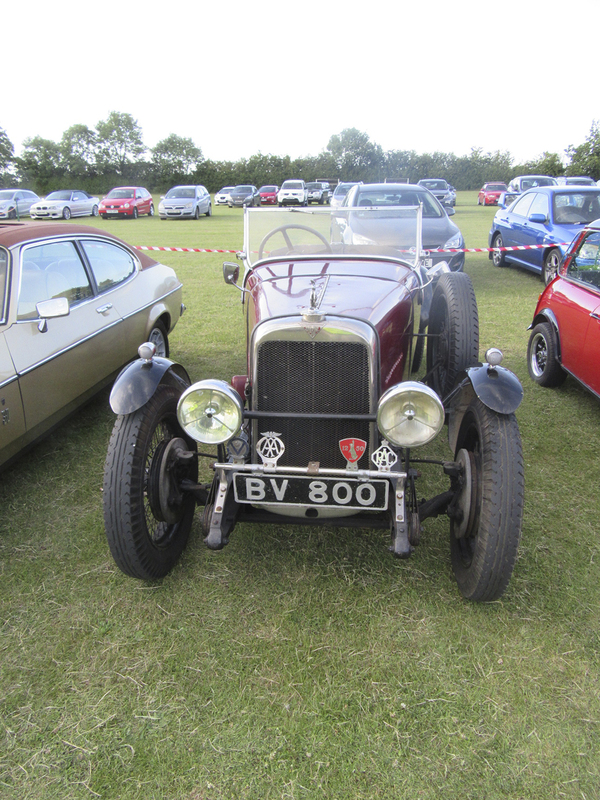 Well, thankfully, quite a few did, and as the evening progressed there was a steady, but not busy, stream of cars coming into the Gathering. The doom and gloom of the weather was now in contrast to the smiles breaking through on the organisers’ faces. Again there were some regular gatherers, and some new faces. 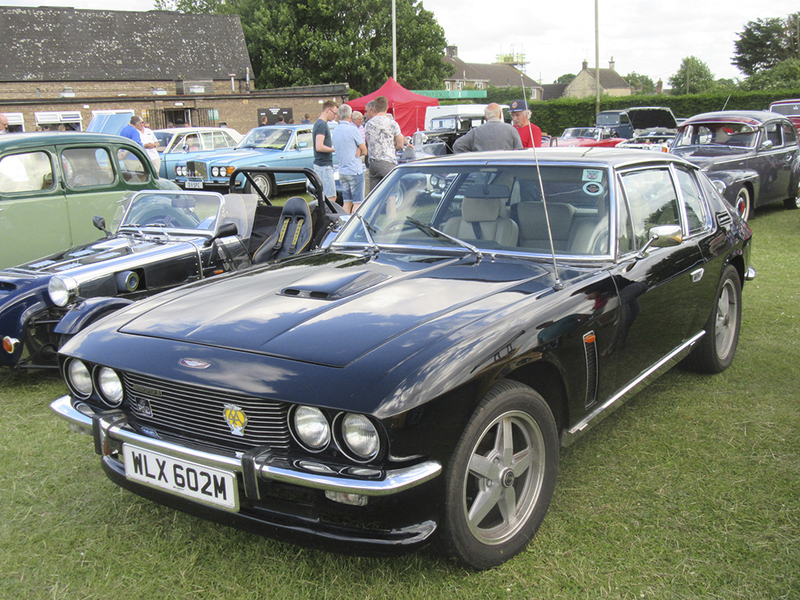 Among the pick of the vehicles were several Ford Capris (these are supposed to be rare but there were 5), several VW camper vans including a very desirable split screen model, Jaguars, an Aston Martin and several Land Rovers. 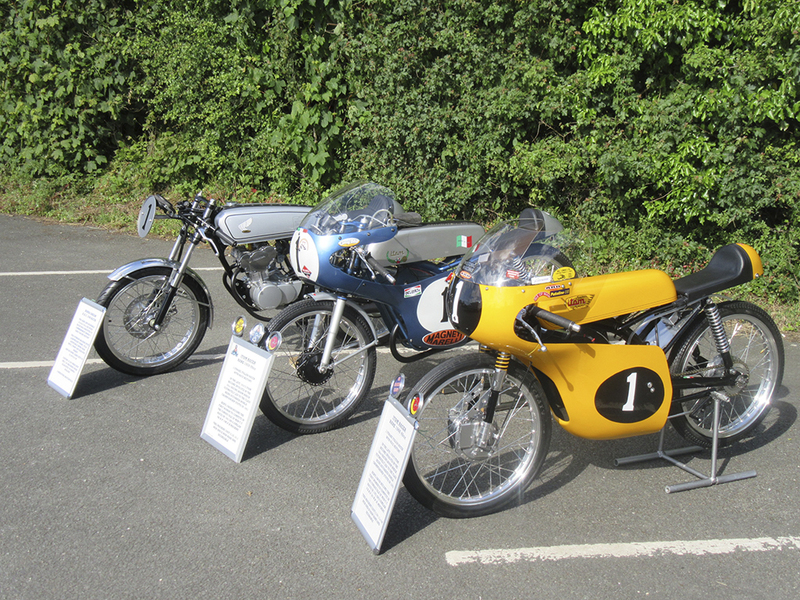 The motorbike paddock was graced with just 2 motorcycles. 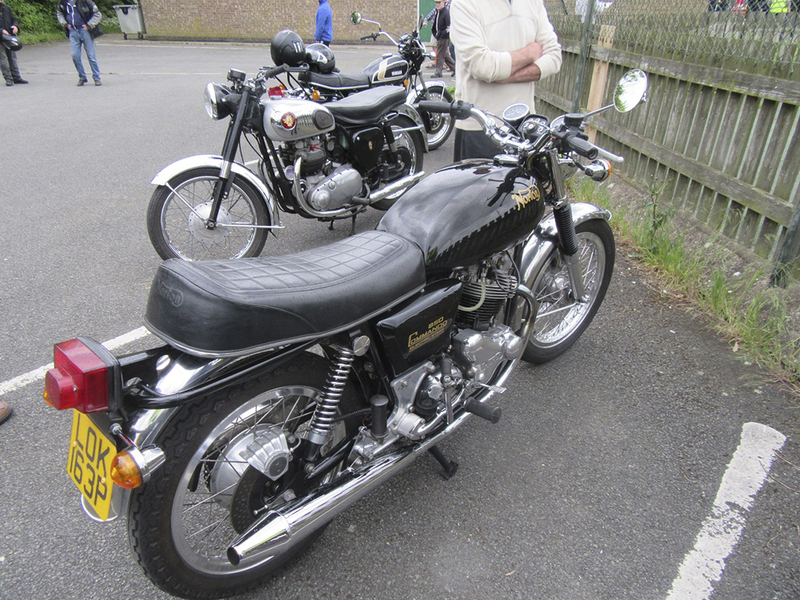 Well done and thanks go to the 2 riders who braved the rain to attend. 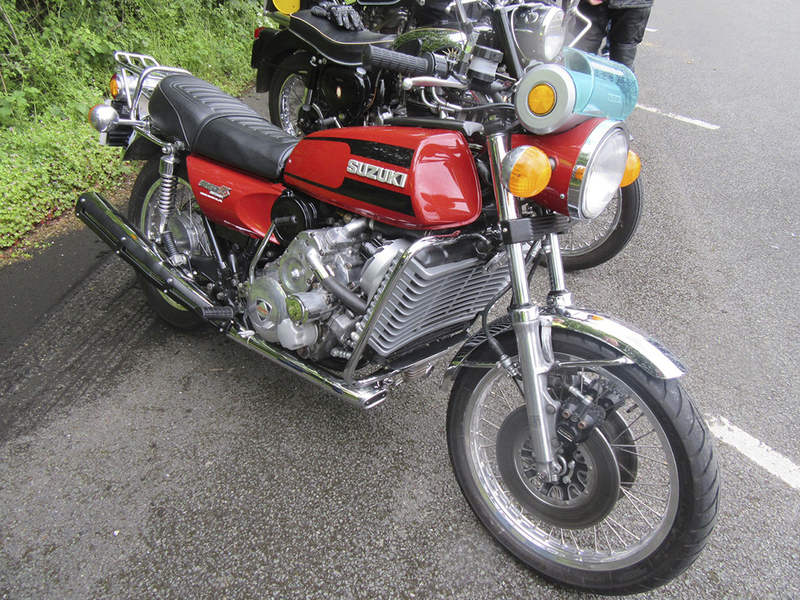 They brought a Honda CB77 305cc twin and a 1942 Harley Davidson 800cc side valve machine. 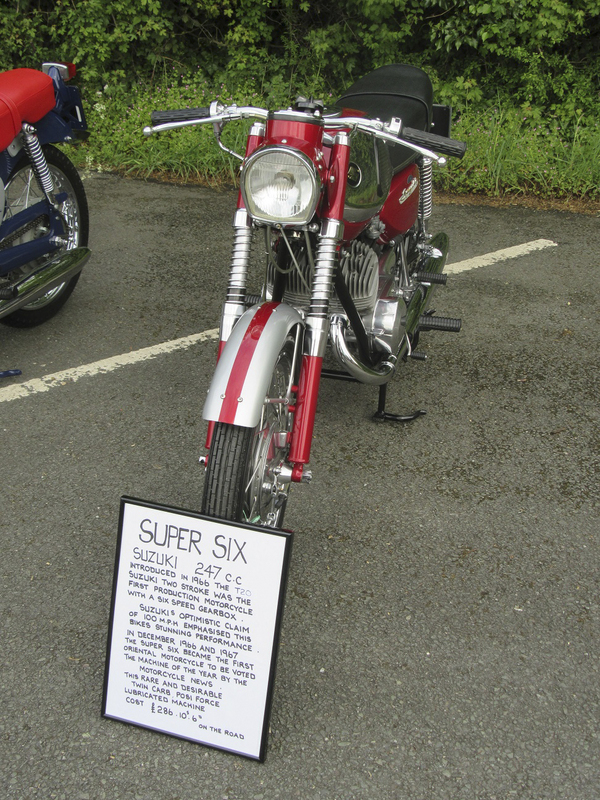 This Harley is a regular attender to the Gatherings but it just keeps on attracting admirers. 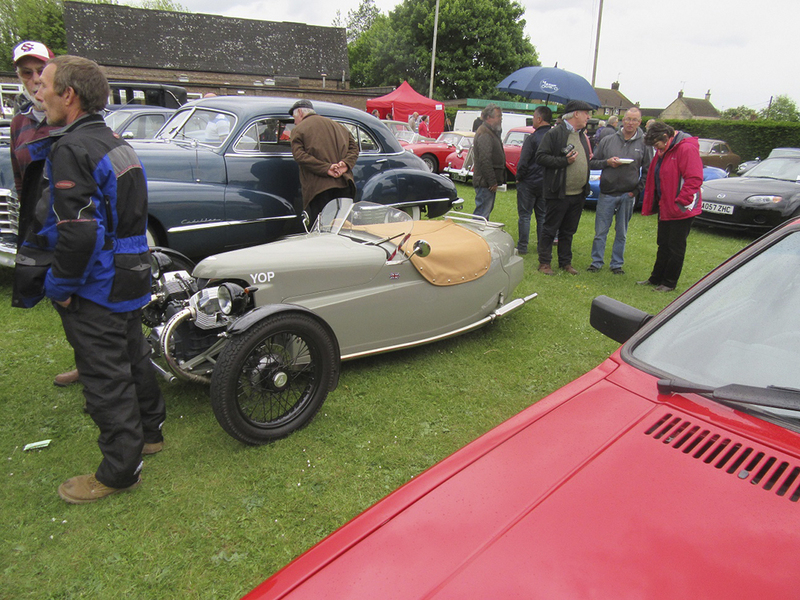 Thanks must go to all who braved the conditions and attended, whether showing a vehicle or not. Also to Andy and crew for the fine food he prepares; to Anne and team for the bar; to Maureen and Carol for the cakes and coffee, to Lorine’s mum – Janet (a last minute substitute for Lorine who could not make it) for supplying prizes and selling raffle tickets; and to all the supporters who lend a hand as and when. Pictures from this Gathering will be posted on the Gathering website (www.GreethamGathering.co.uk) in the coming days. 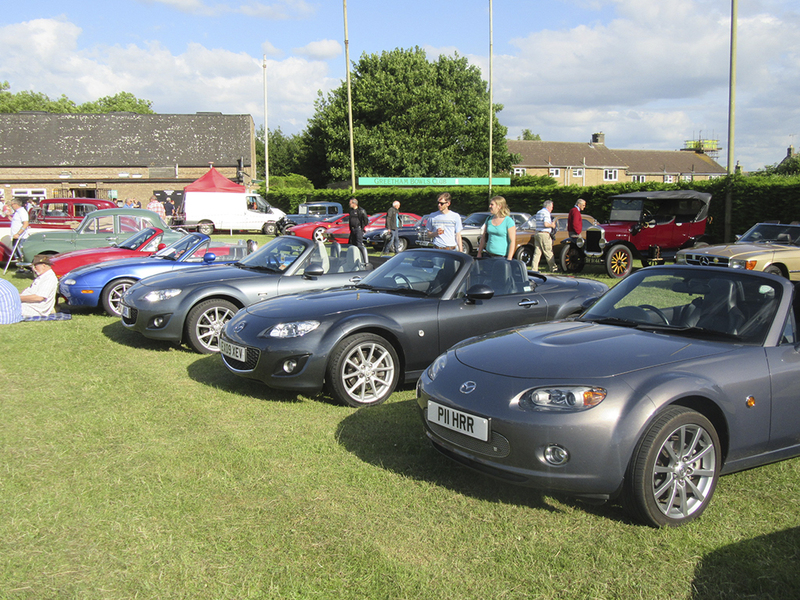 Please make a note of the next Gathering which is onJuly 21st – same time, same place, but hopefully better weather! Remember, that we donate our profits to the local Air Ambulance. Thanks again to our supporters – we remain optimistic that the success of this event will continue and we shall grow to be even bigger in 2016. See you in July. Thursday 19th May saw the first Greetham Gathering of the 2016 season, but the weather forecast was not good. 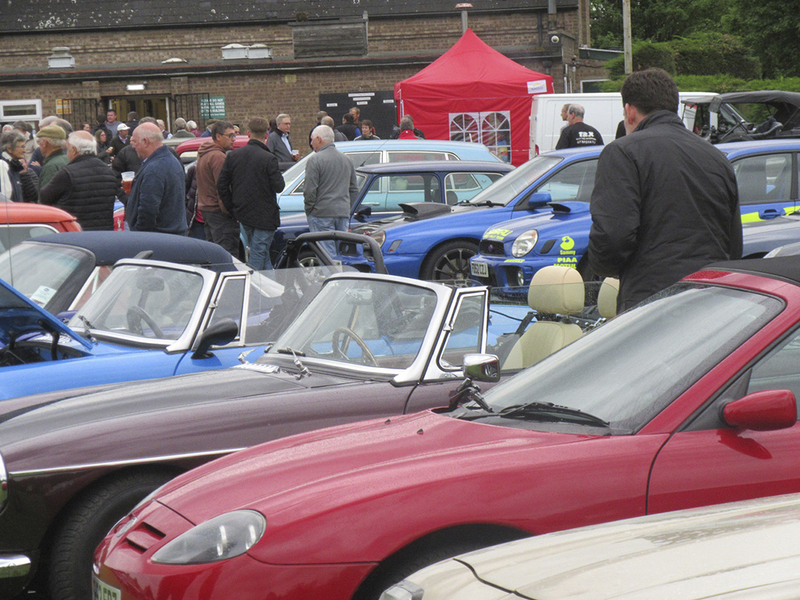 Whilst the weather usually has a large impact on the Gathering attendance; the forecast of rain in the early evening was not welcome and not something we had experienced over the previous two years. 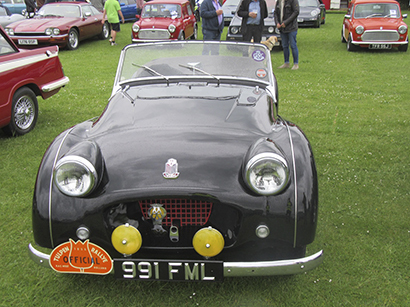 However, the Gathering had to go ahead as we all know just how the weather can change and so an air of optimism was adopted by the organisers, and we all just carried on as usual. Everything was is place at 4:00pm awaiting what would happen over the coming few hours. Well, the “Gatherers” did not let us down! 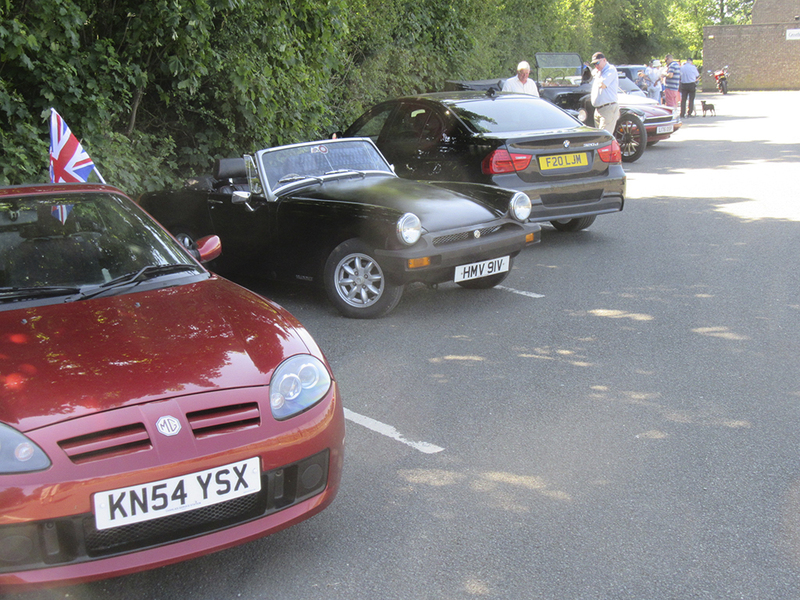 After the customary slow start, the cars just kept on coming in. 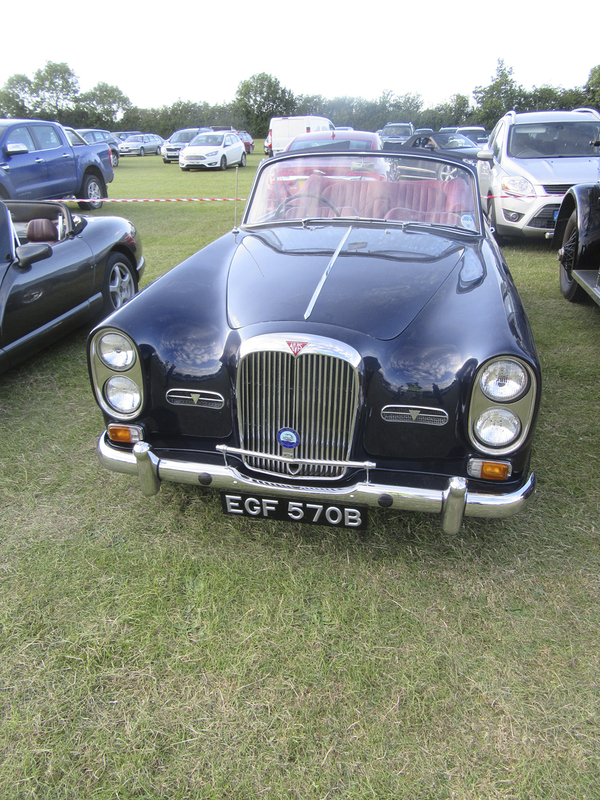 Rain was in the air, but the vehicles kept coming in and by around 7:00pm we had over 160 cars had come through the gate and of these over 60 were true classic cars. 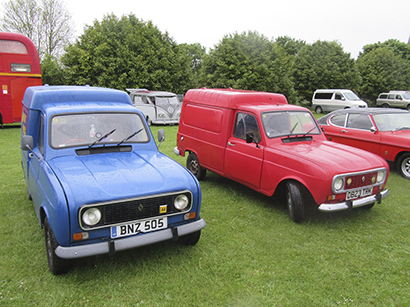 Yet again we were treated to seeing some of the wonderful vehicles that have graced the Gathering before, but just as exciting for us all is that we continue to attract more vehicles previously unseen at the Gatherings. 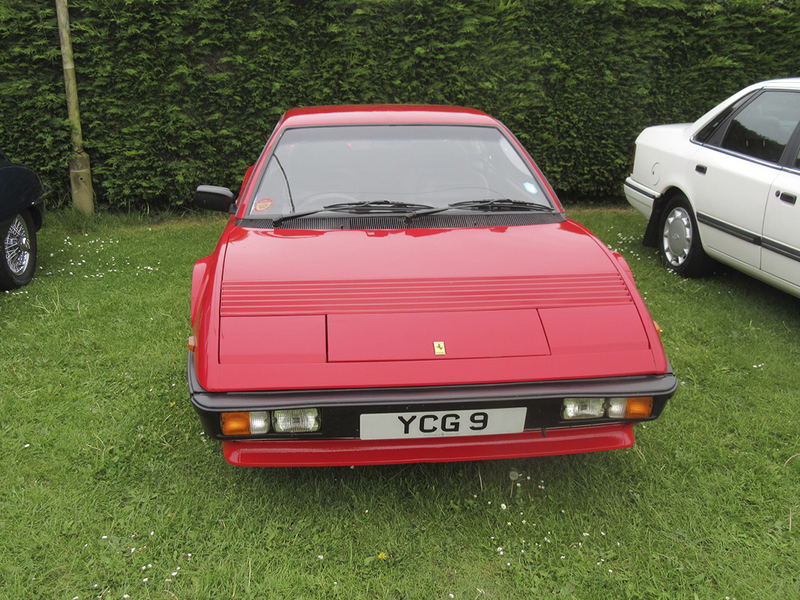 There are too many to mention in detail here but let’s just say we had a high end Ferrari, Aston Martins, Porsches, Bentley, Jaguars (inc 3 E-types), Mustang and Lotuses, along with classic family, workhorse and of course rare vehicles such as several fine Rovers, Ford Pilot, Vauxhall Cresta, Lancia and Citroen 2CV. 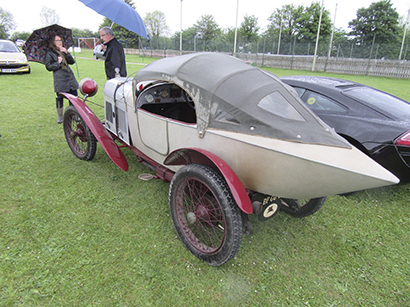 Also of note was a Moto Guzzi engined 3 wheeler, and a Sinclair C5. Such is the Gathering – you never know what surprises will come through the gate, and long may it continue! 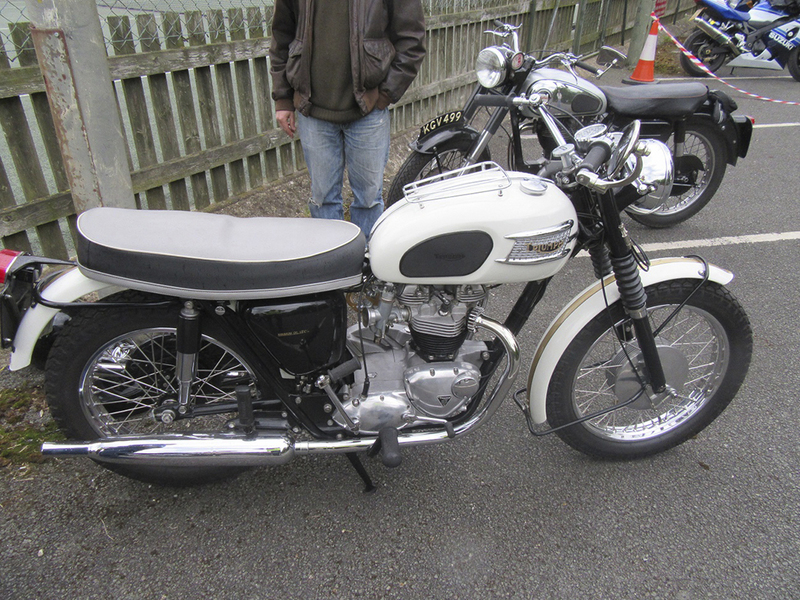 In the motorcycle paddock we managed to get 30 bikes – both classic and modern. The threat of rain is taken more seriously by the 2 wheeler brigade for obvious reasons, but we are grateful and pleased that these Gatherers made the commitment to come – whatever the weather. Such is the attraction of this event. 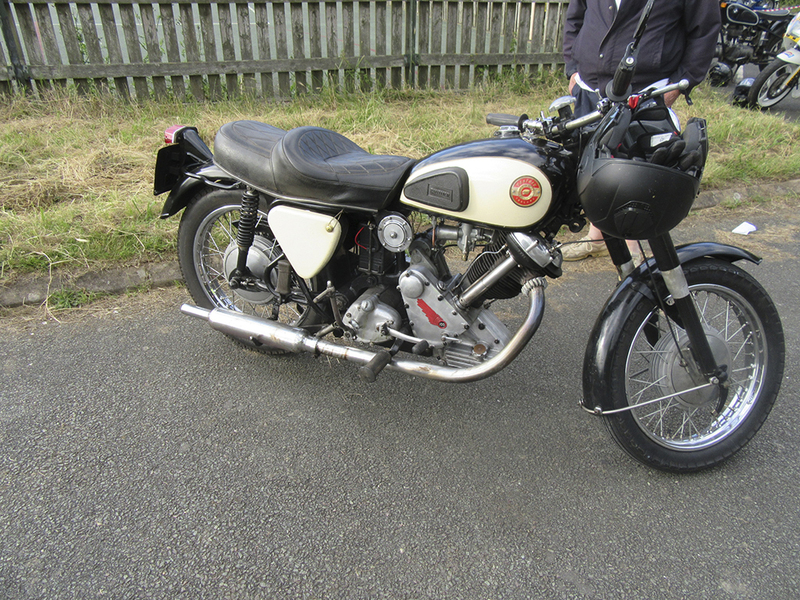 Among the bikes we had a BSA A10 Rocket, a beautiful recently restored James Comet, an unrestored MZ, an Indian, a modern Sachs engined 125, a beautiful Victory and a rare Harley Davidson XH in beautiful condition. Thanks must go to all who attended, whether showing a vehicle or not. 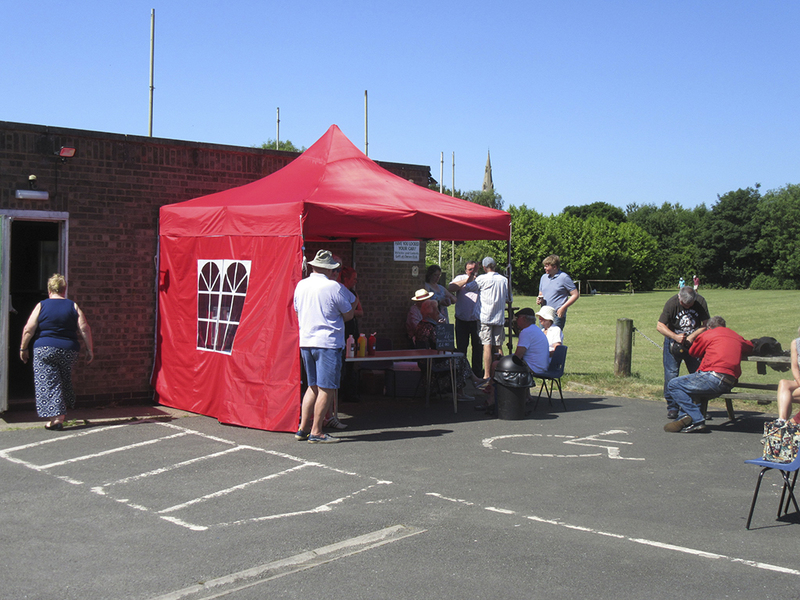 Also to Andy and crew for the fine food he prepares; to Anne and team for the bar; to Maureen and Carol for the cakes and coffee, to Lorine for supplying prizes and selling raffle tickets; Debbie and Sue on the gate, and to all the supporters who lend a hand as and when. 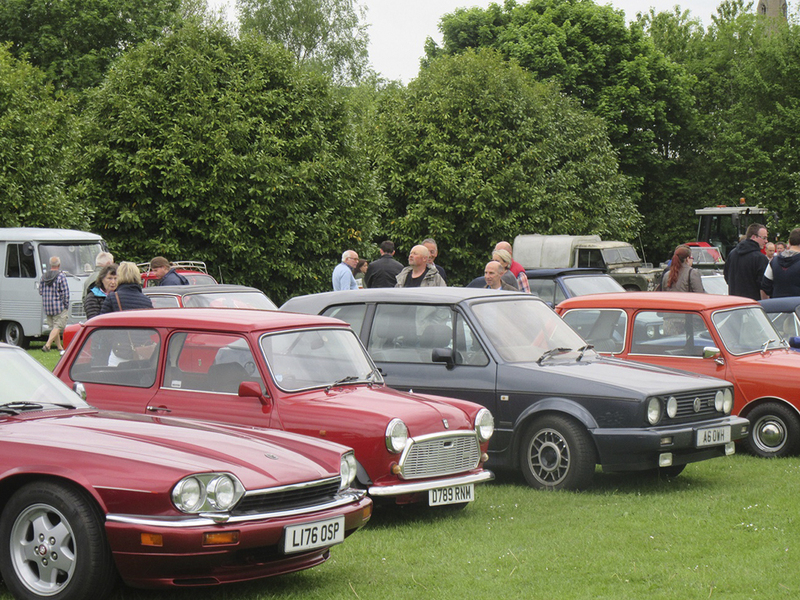 Please make a note of the next Gathering which is on June 16th – same time, same place, but hopefully better weather! Remember, that we donate our profits to the local Air Ambulance. Thanks again to our supporters – we continue to be optimistic that the success of this event will continue and we shall grow to be even bigger in 2016. See you in June. On Thursday October 22nd, the Greetham Gathering’s Committee and helpers met Charlotte Marson from the Derbyshire, Leicestershire and Rutland Air Ambulance Service (DLRAA) at Colin Easson Motors in Cottesmore, Rutland, to present a cheque in support of the DRLAA. 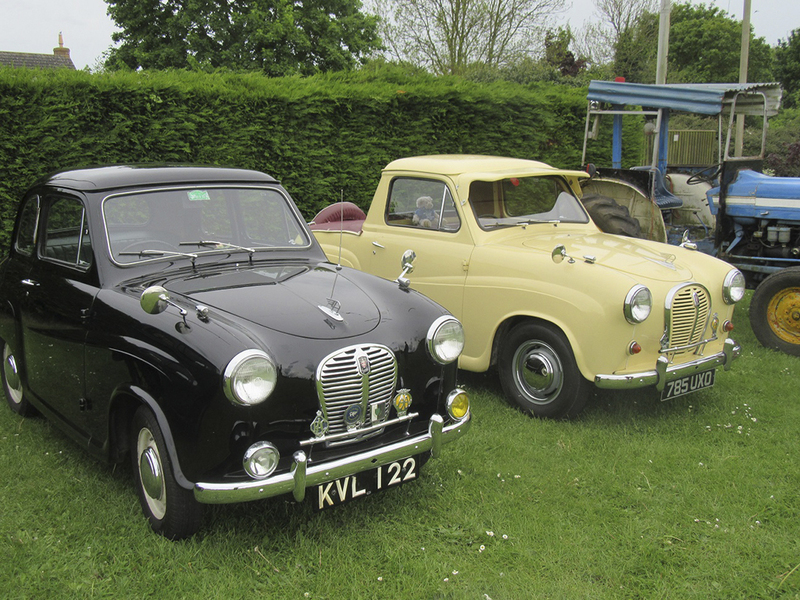 In 2014, the first year of the Greetham Gatherings, the committee were able to present a cheque to the DVLAA for £450. 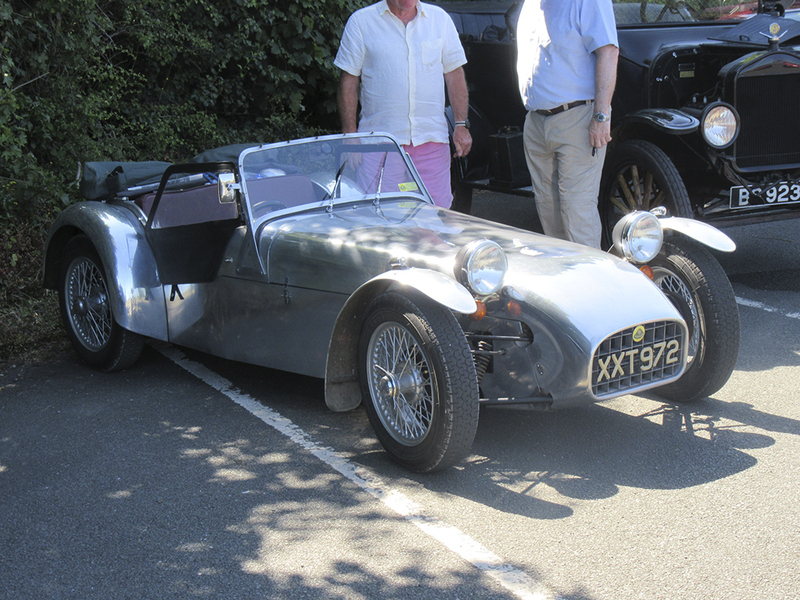 2015 has proven to be a much more successful year for the Gatherings, and with all the extra support from the public, the committee were delighted to present a cheque for £1500 to the DLRAA. 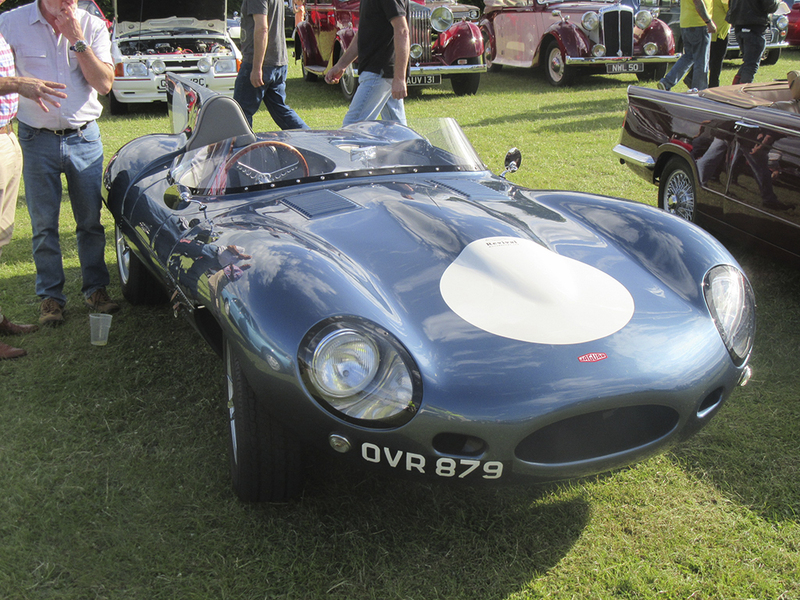 Without the fabulous support from all the enthusiasts and members of the public who come to the Gatherings, this would not be possible. We truly appreciate your contribution to making the Gatherings a success and we look forward to being able to increase our donation to the DLRAA in 2016. The picture (below – top picture) shows Martin Fairbairn, treasurer for the Greetham Gatherings, present a cheque for £1500 to DLRAA representative Charlotte Marson. In the picture are Gathering committee members and helpers, from left to right: Gilbert Thomas, Charlotte Marson (DLRAA), Roland Easson, Debbie Easson, Malcolm Radford, Mike Carr and Martin Fairbairn.